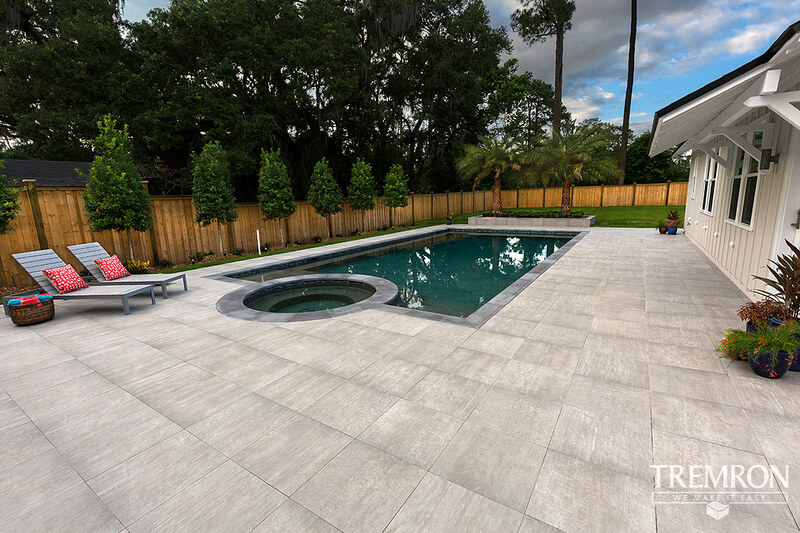 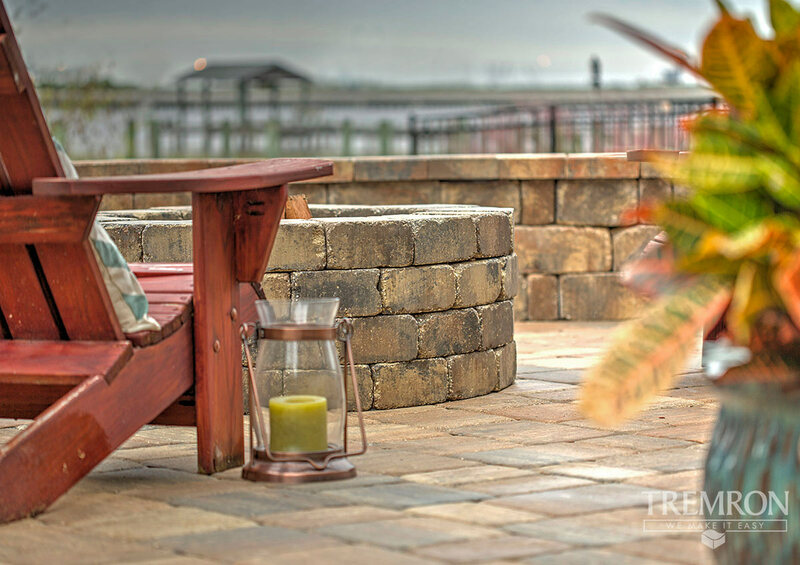 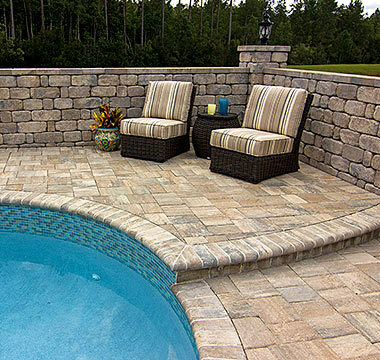 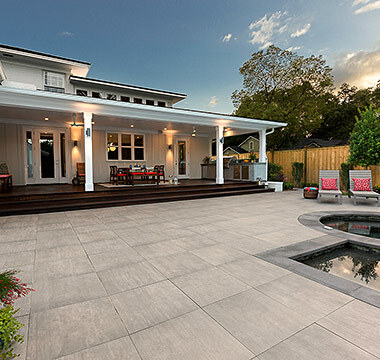 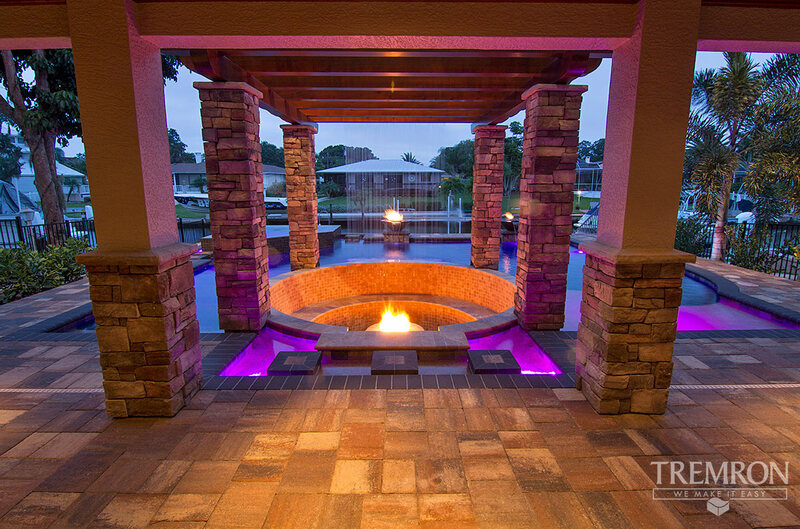 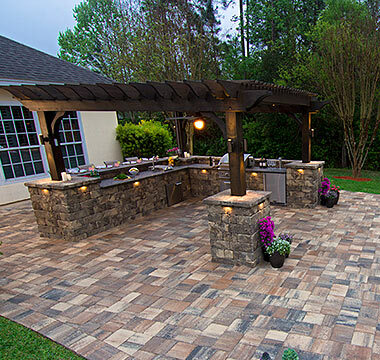 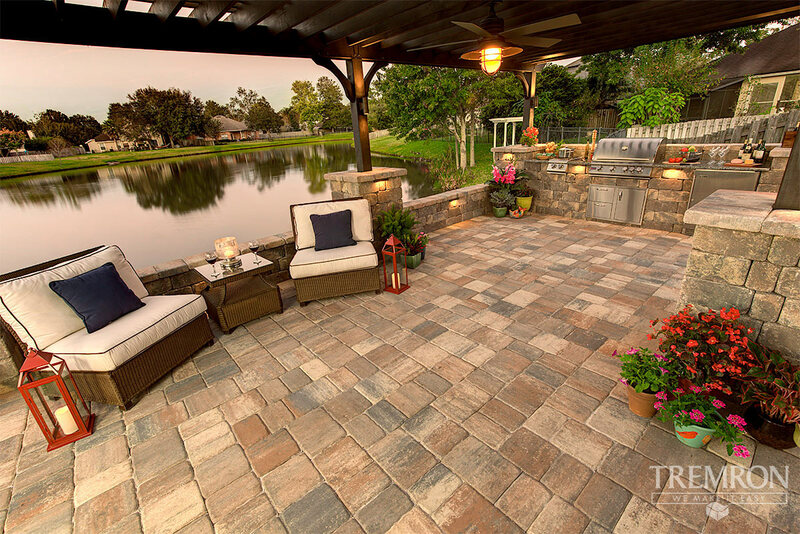 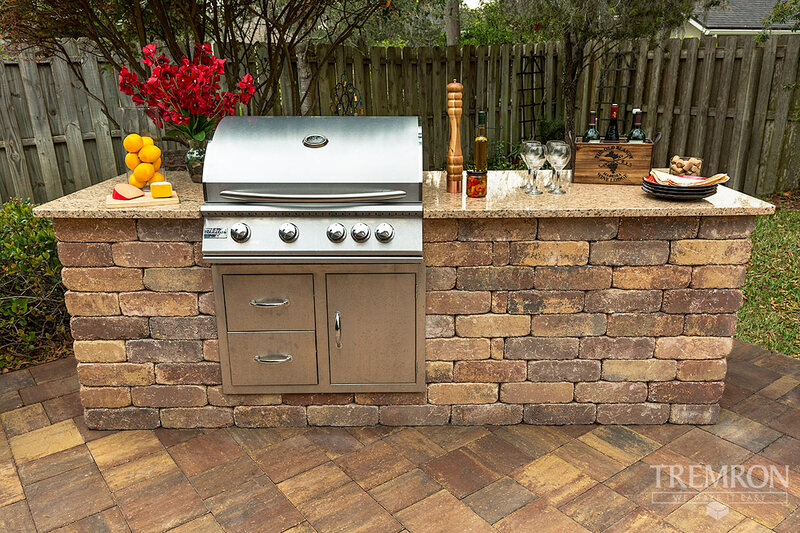 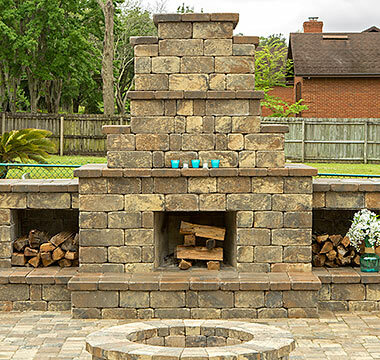 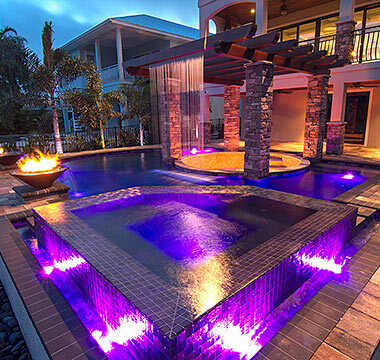 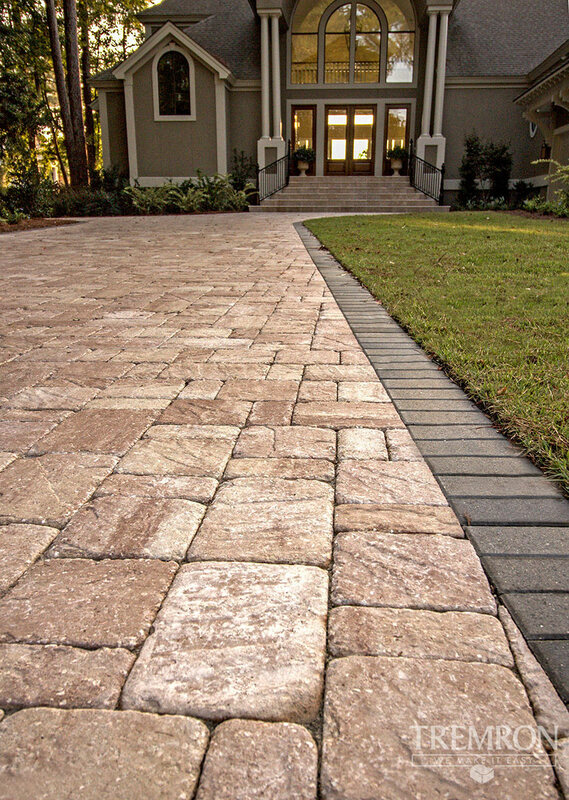 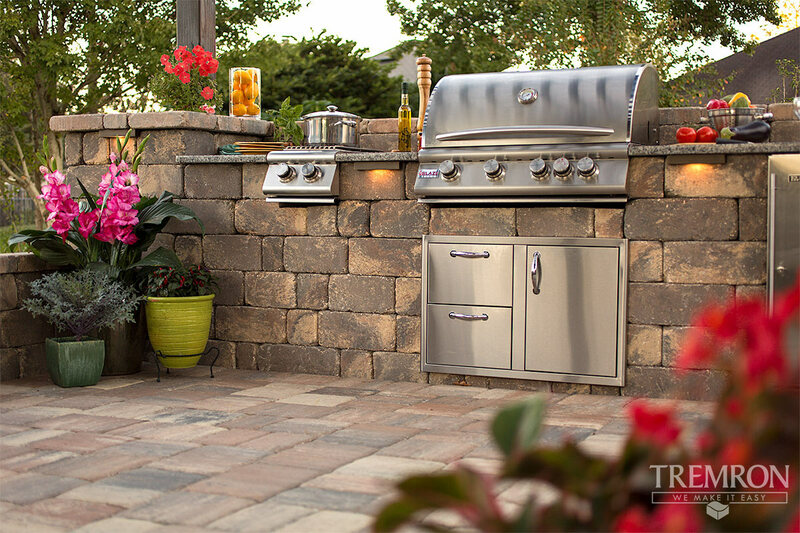 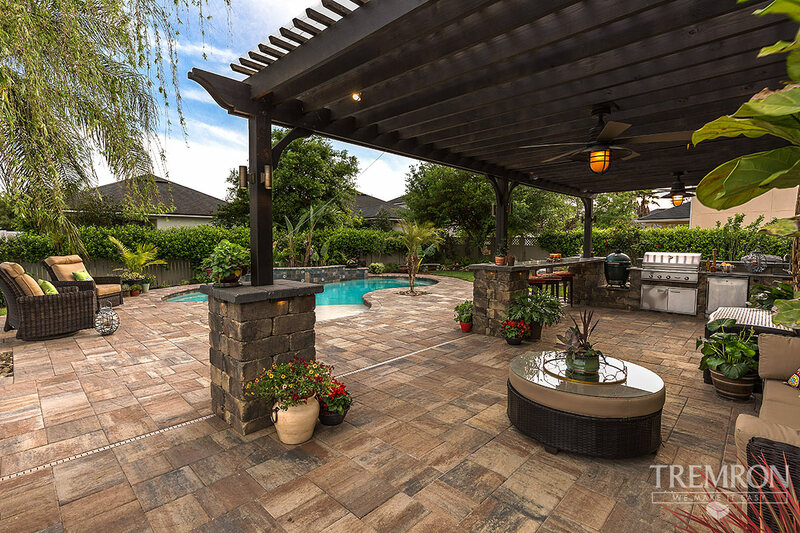 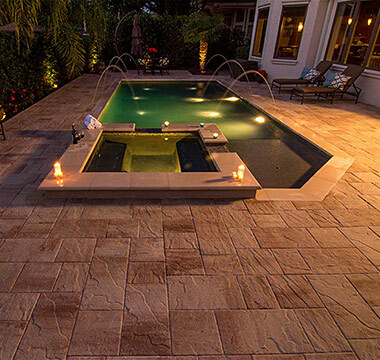 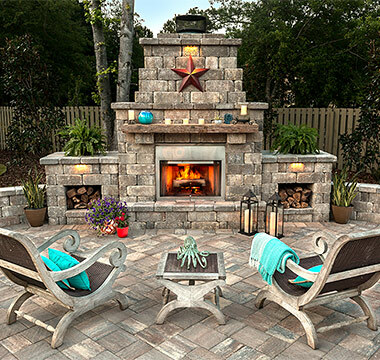 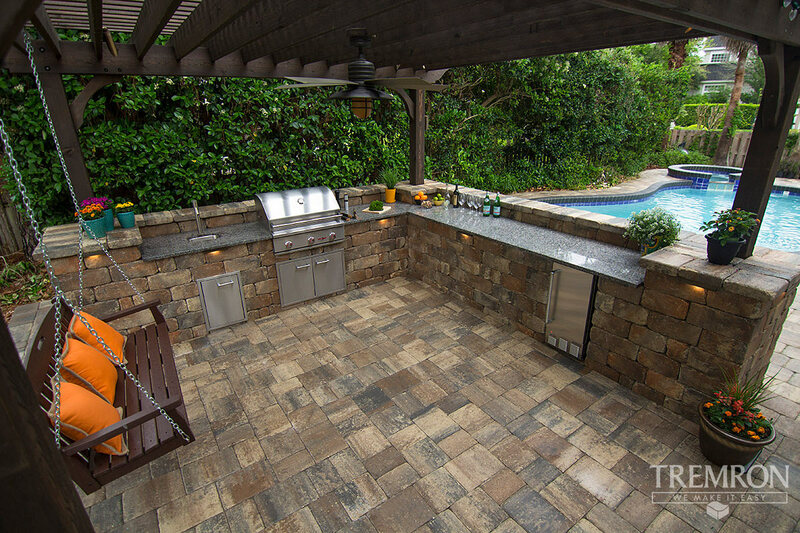 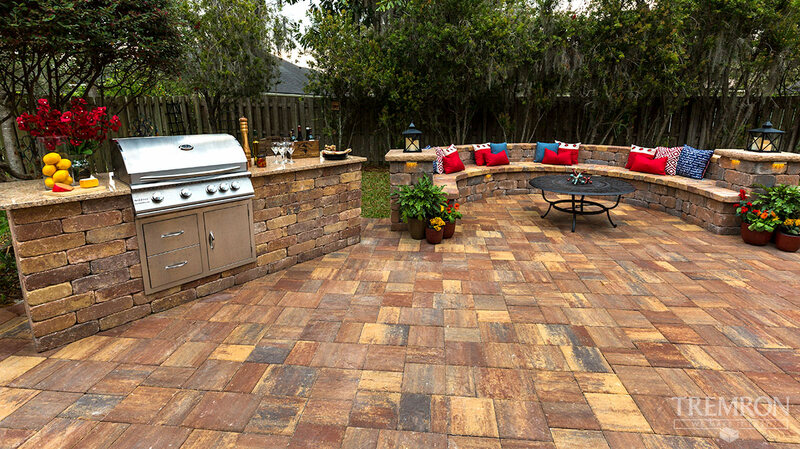 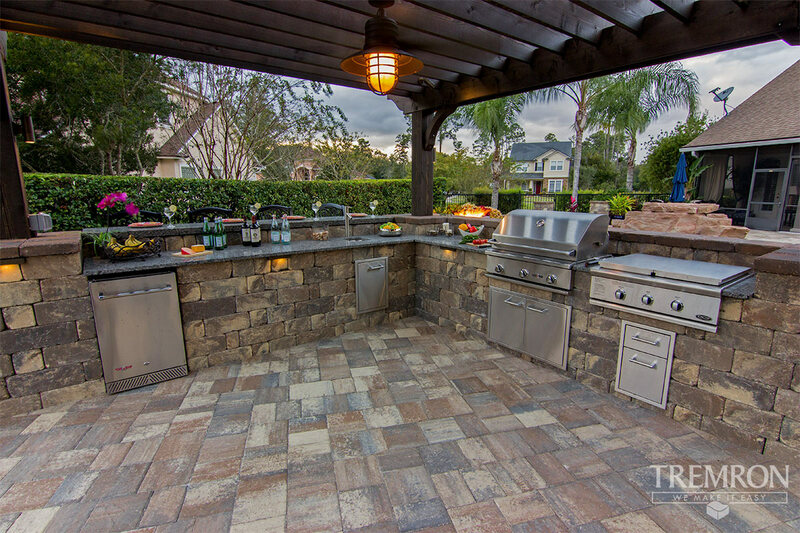 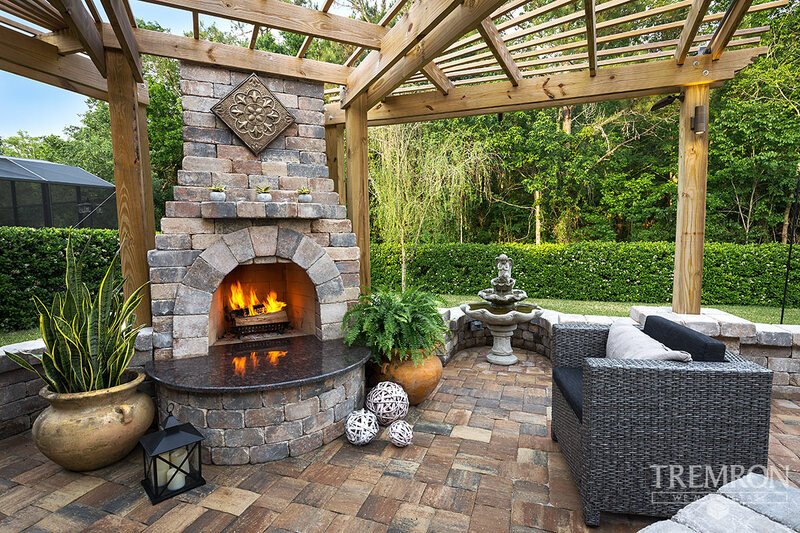 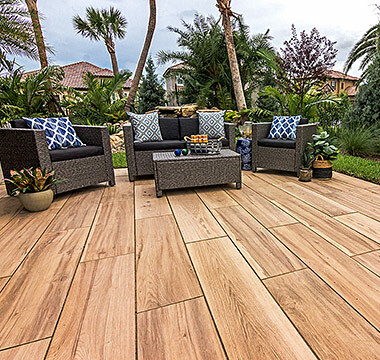 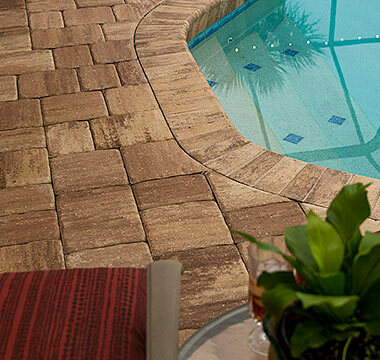 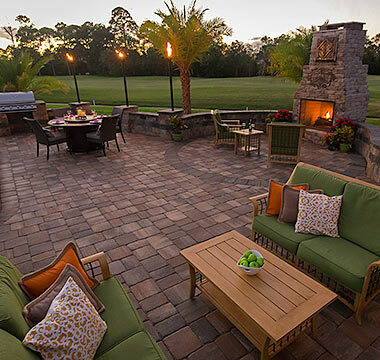 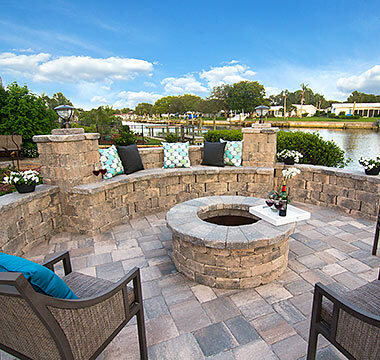 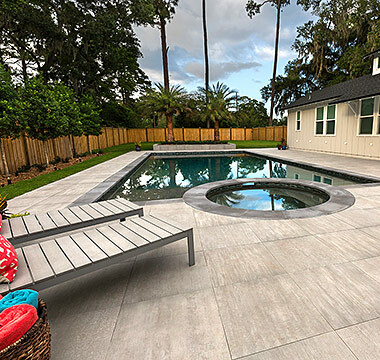 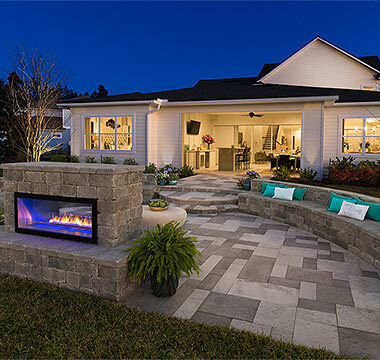 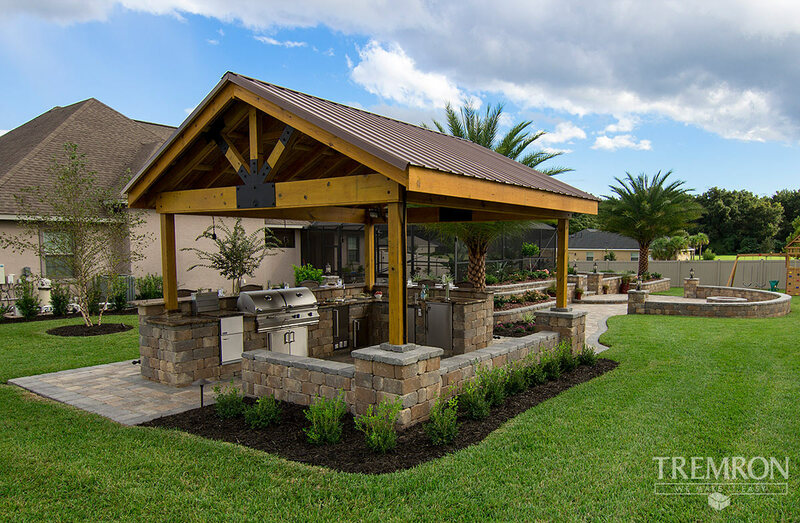 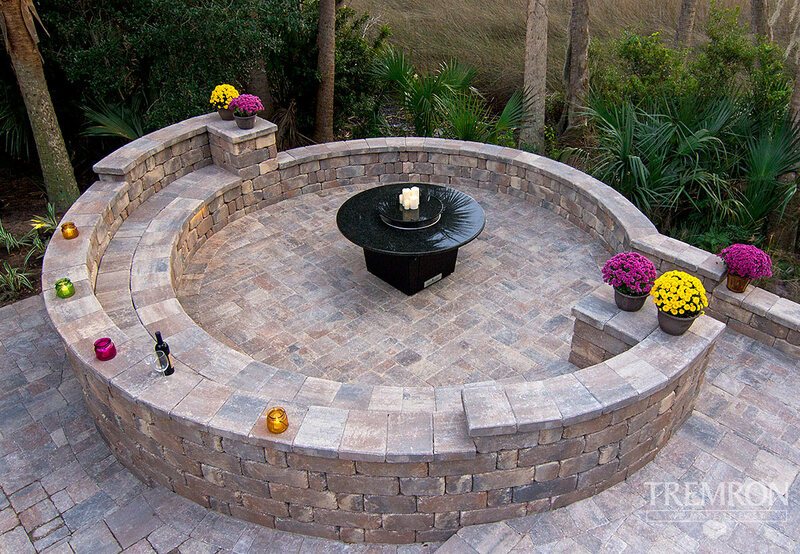 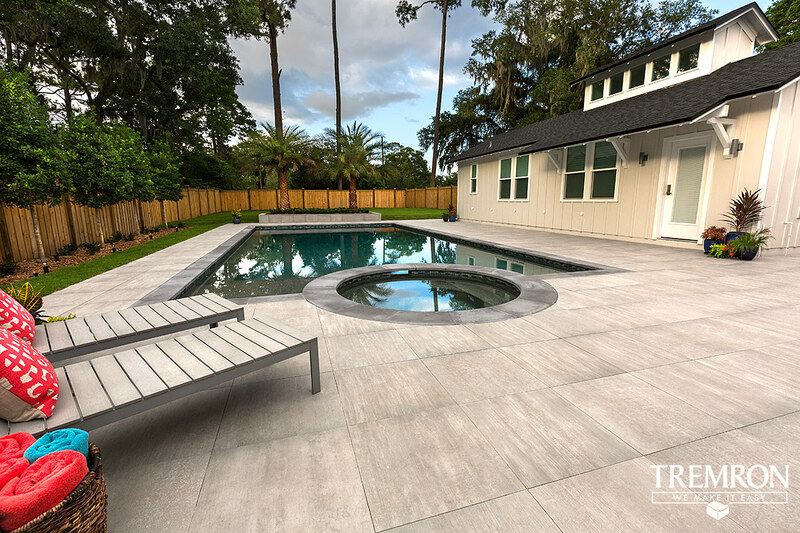 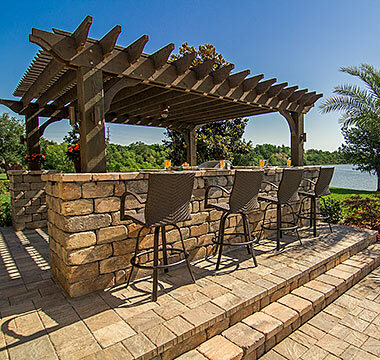 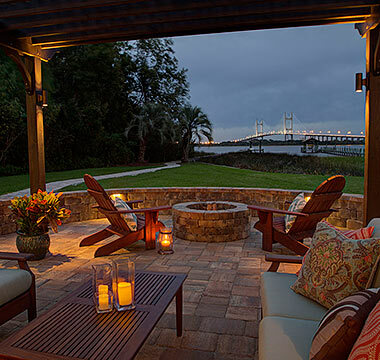 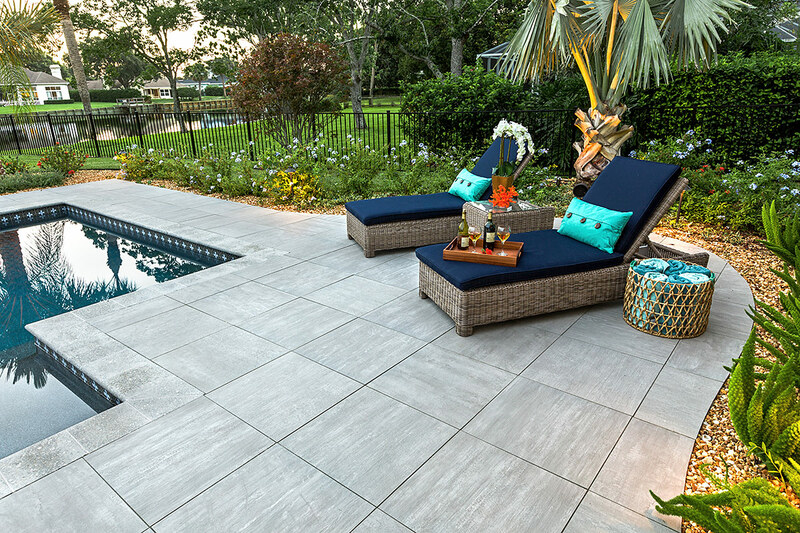 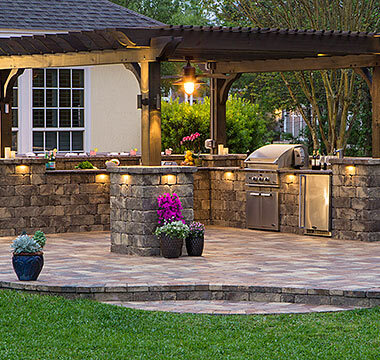 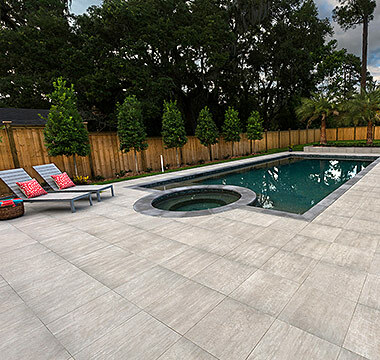 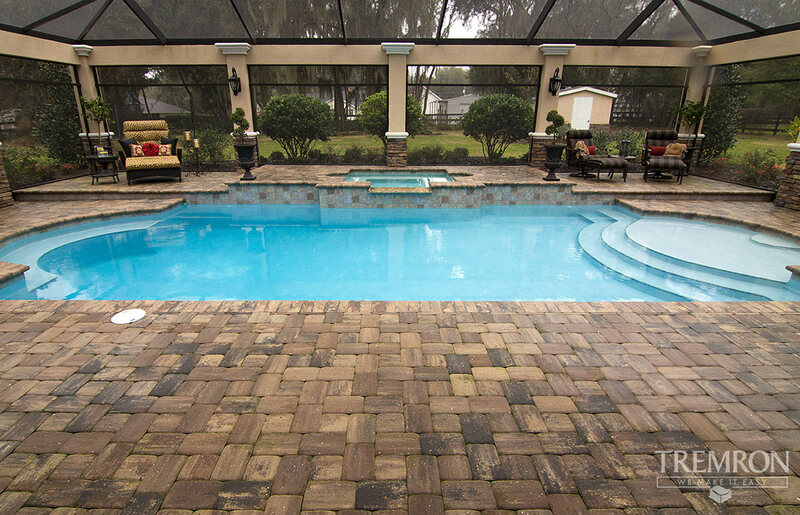 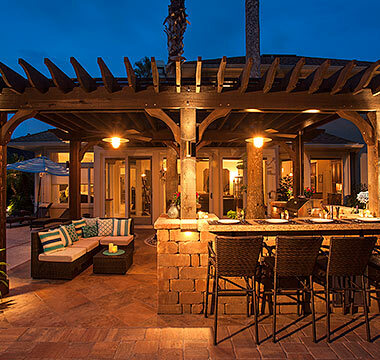 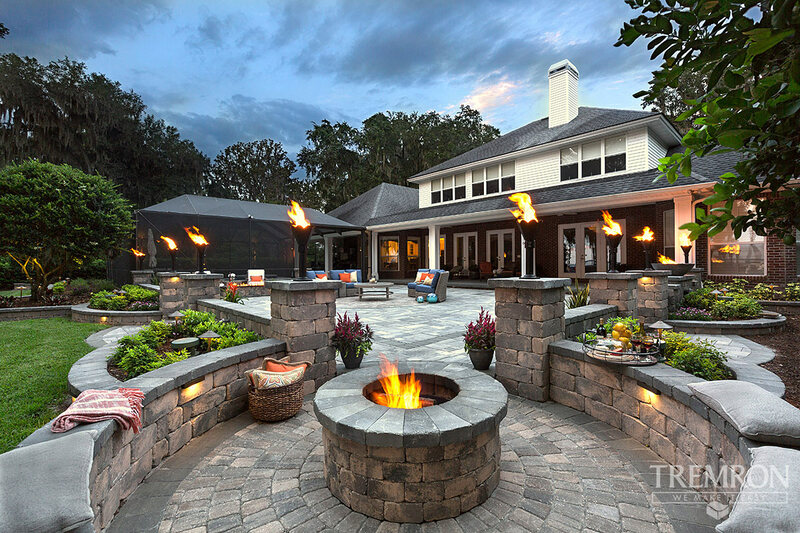 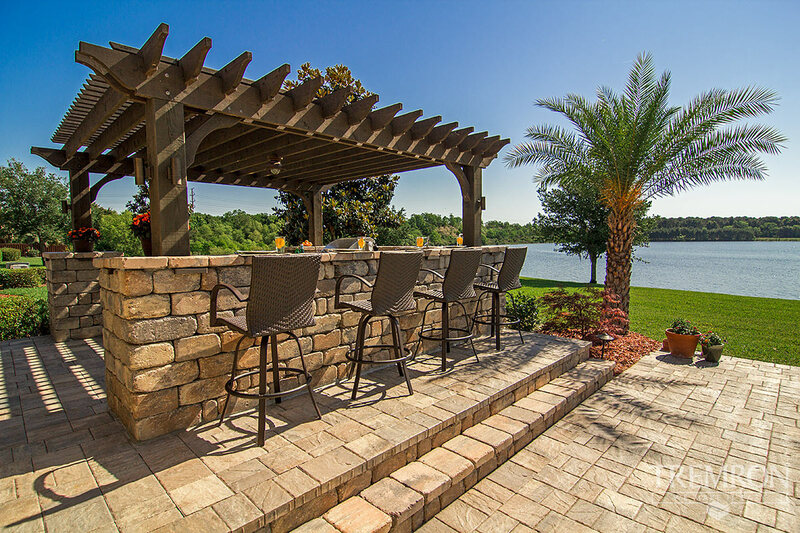 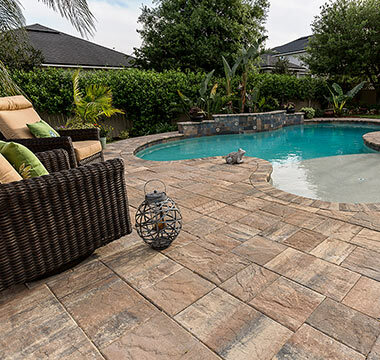 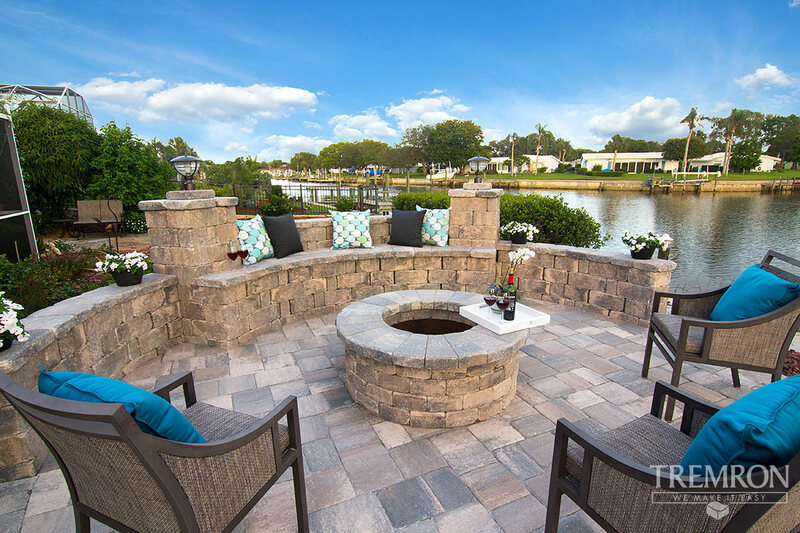 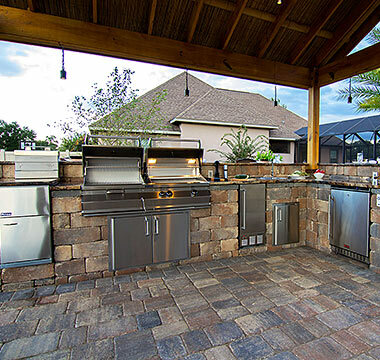 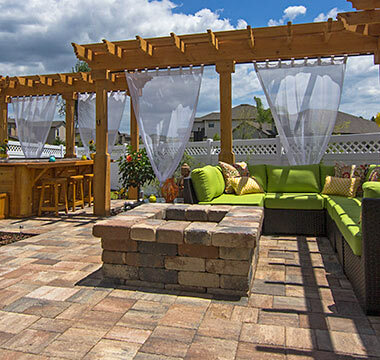 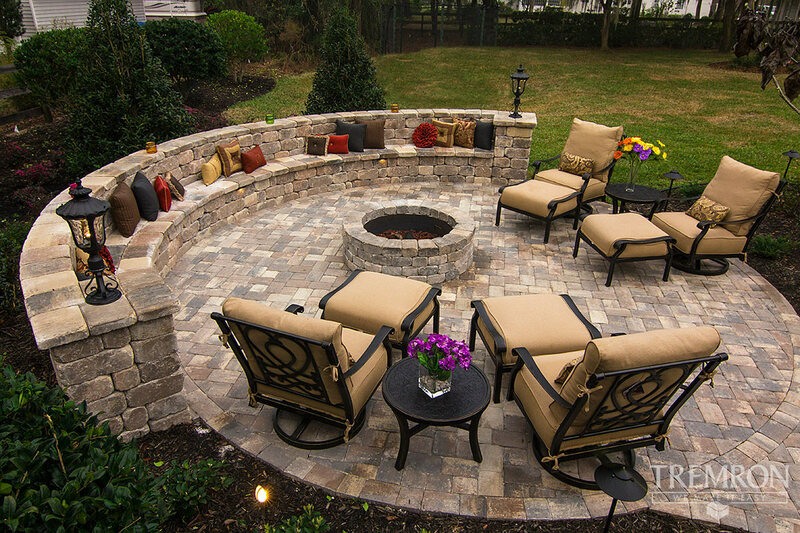 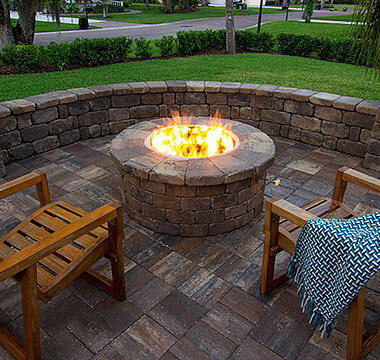 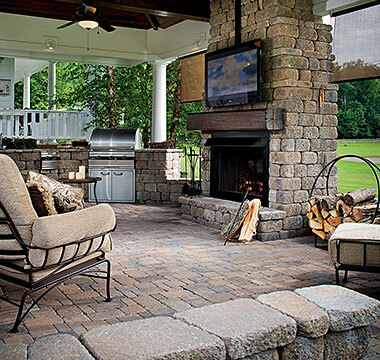 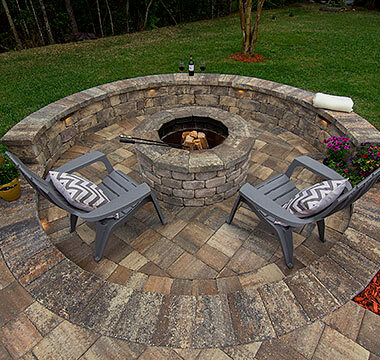 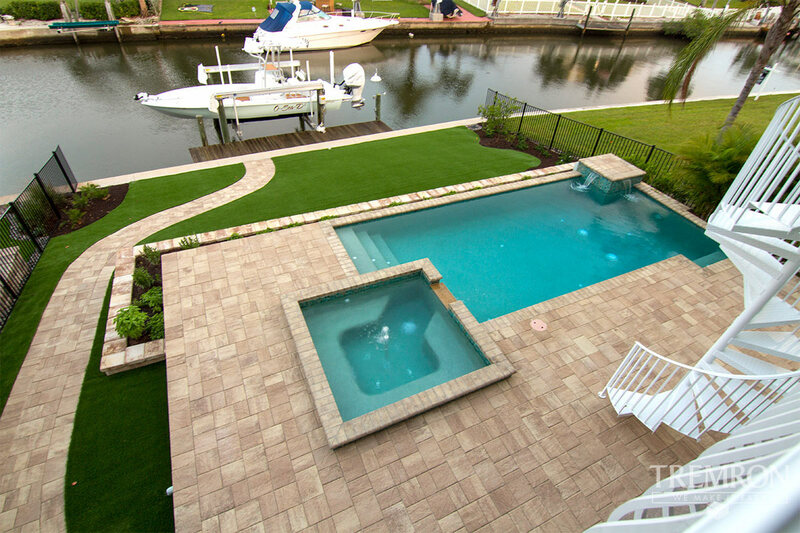 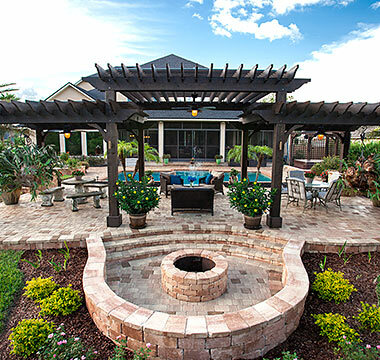 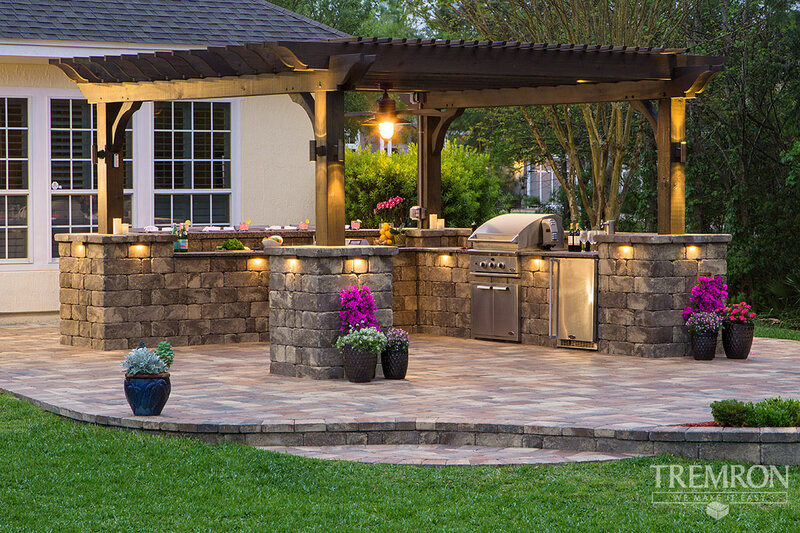 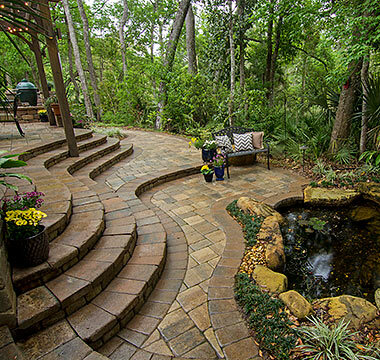 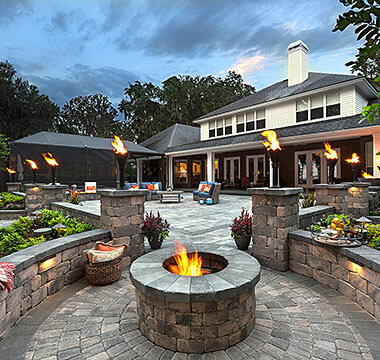 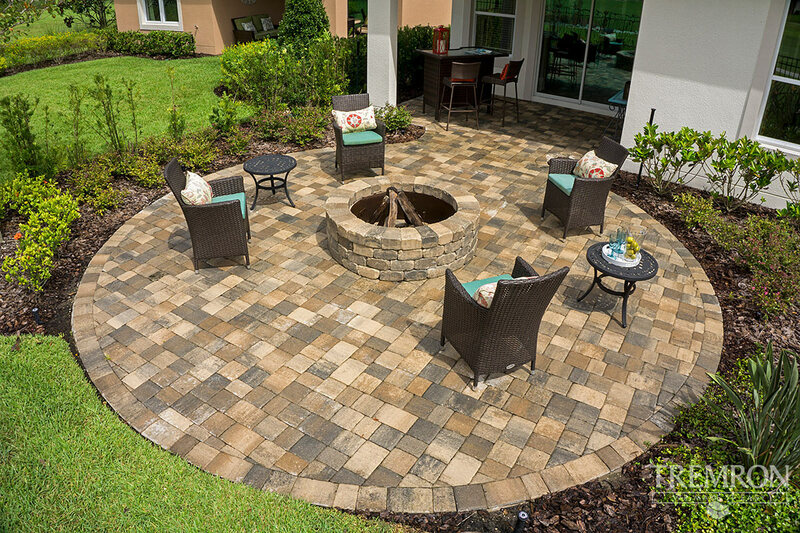 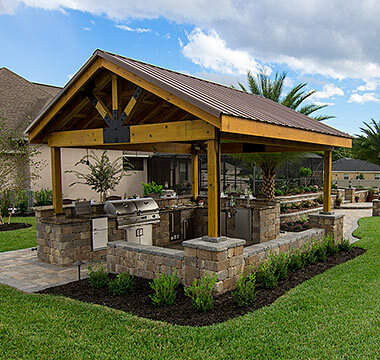 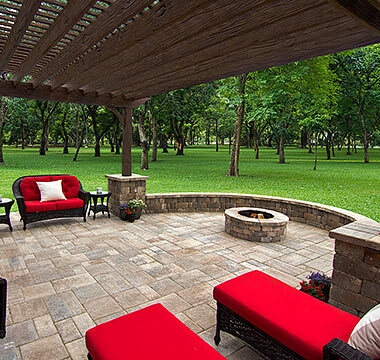 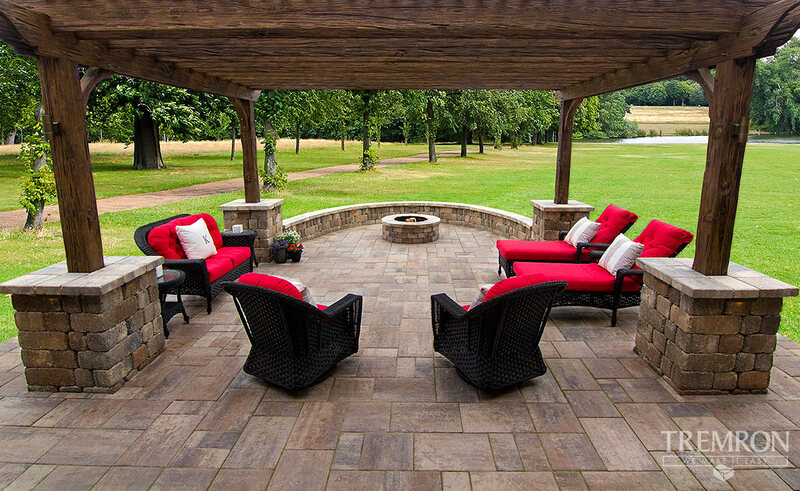 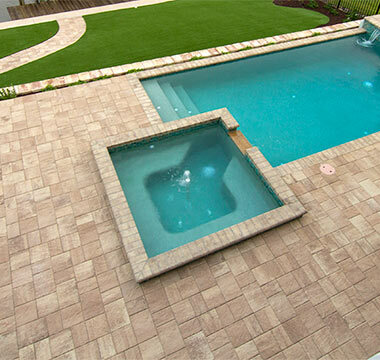 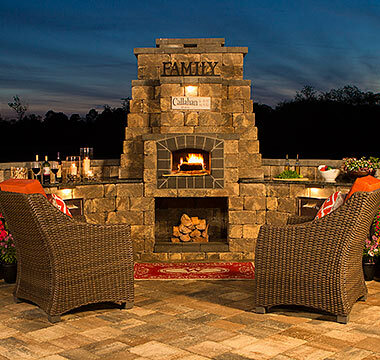 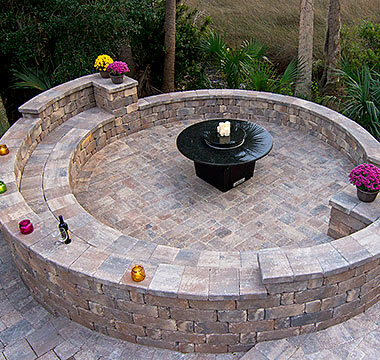 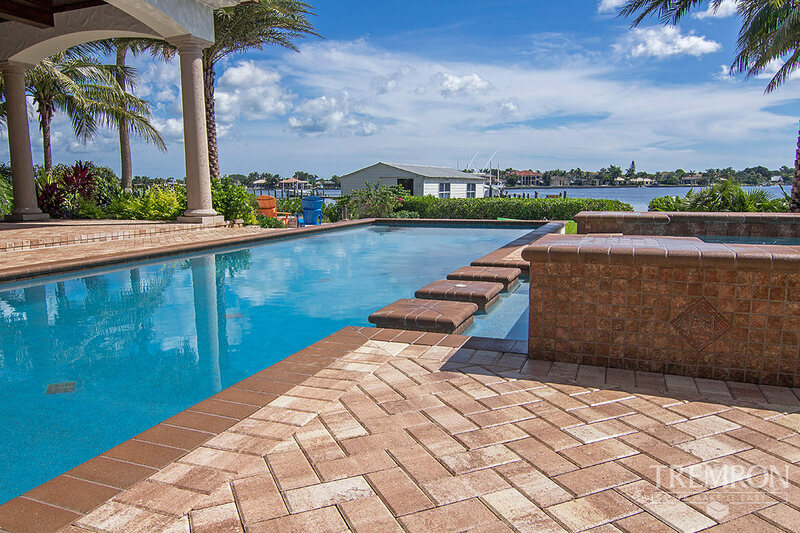 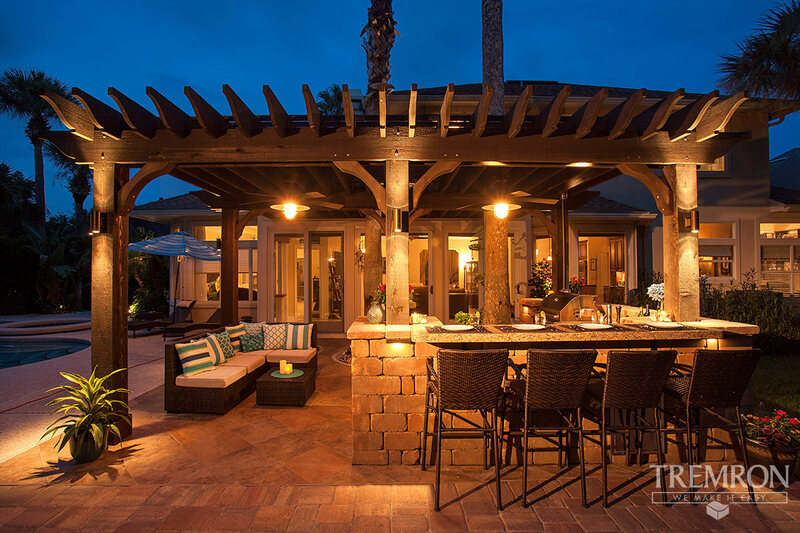 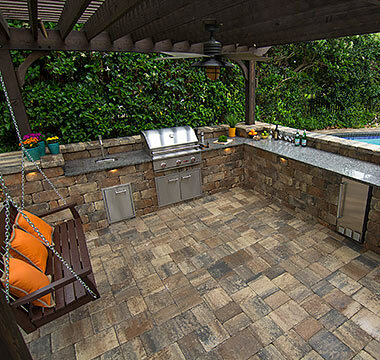 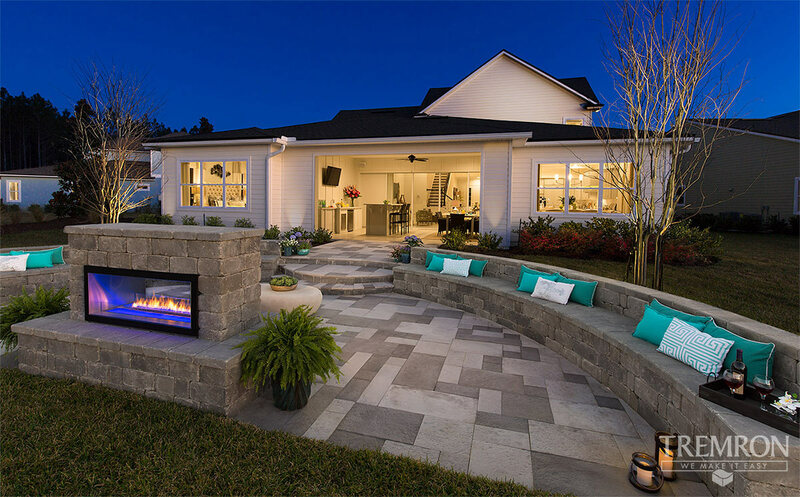 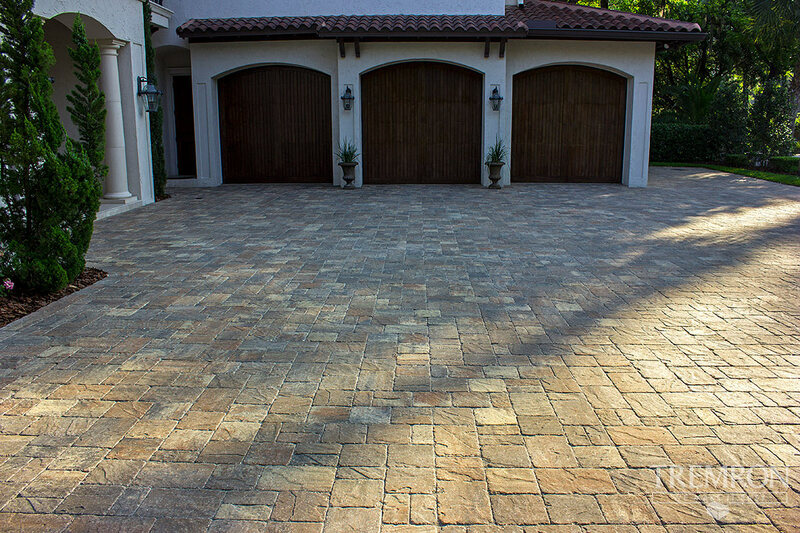 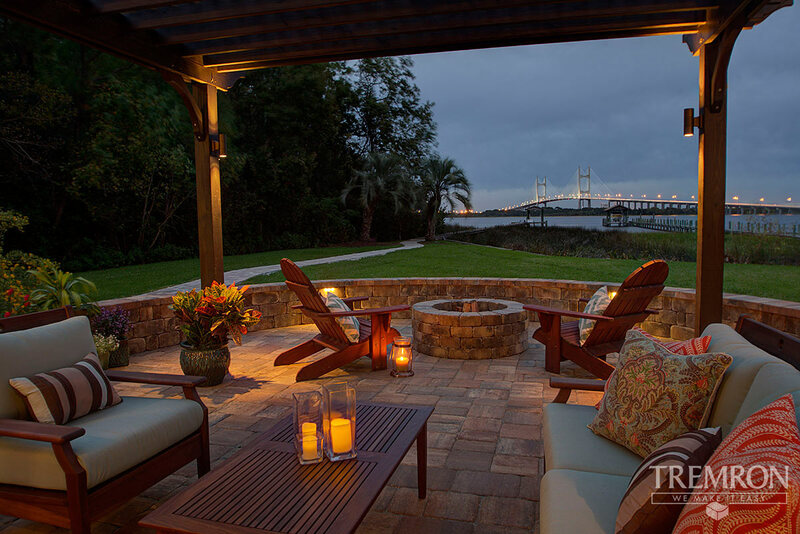 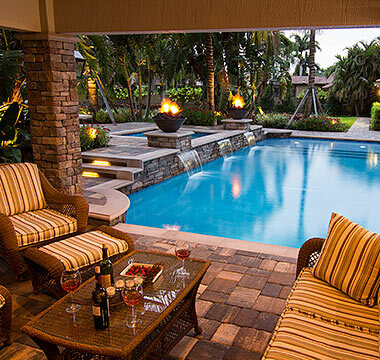 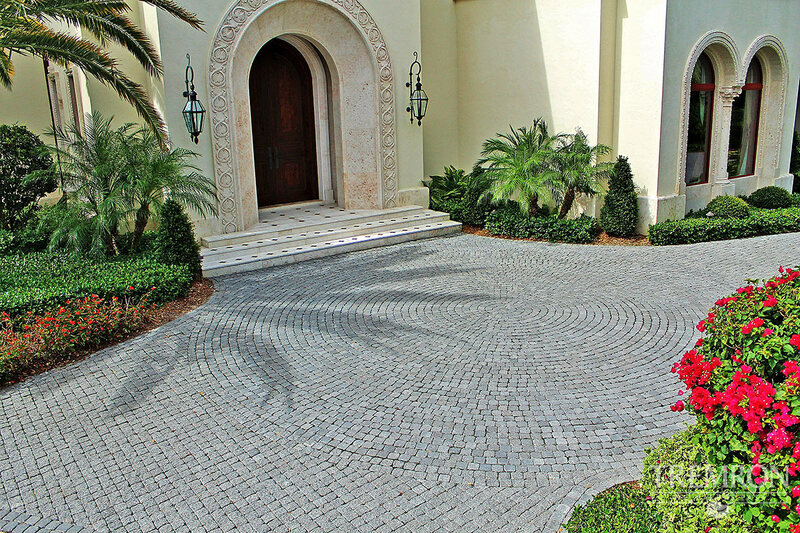 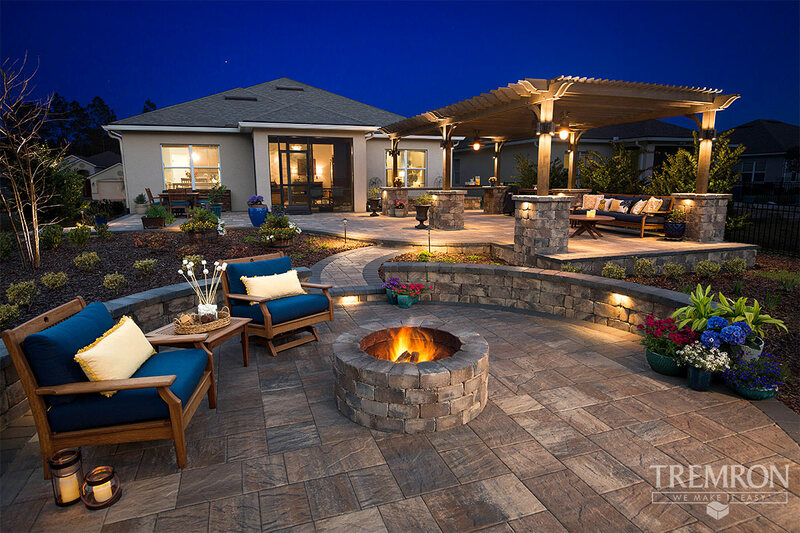 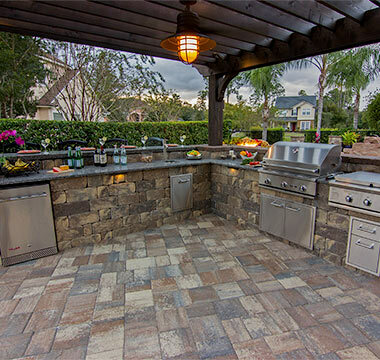 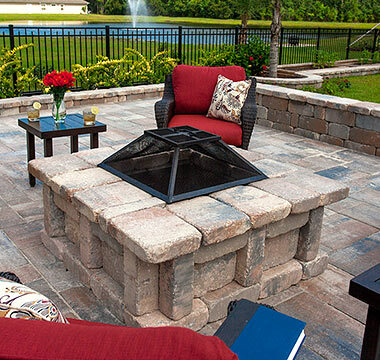 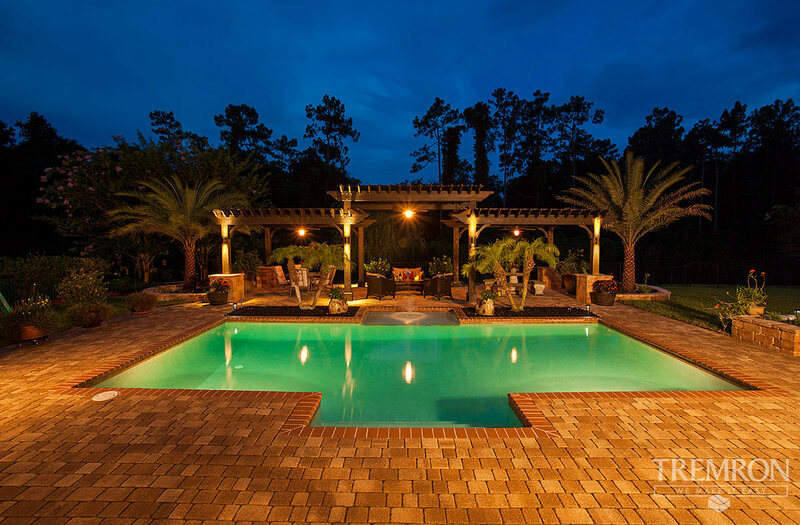 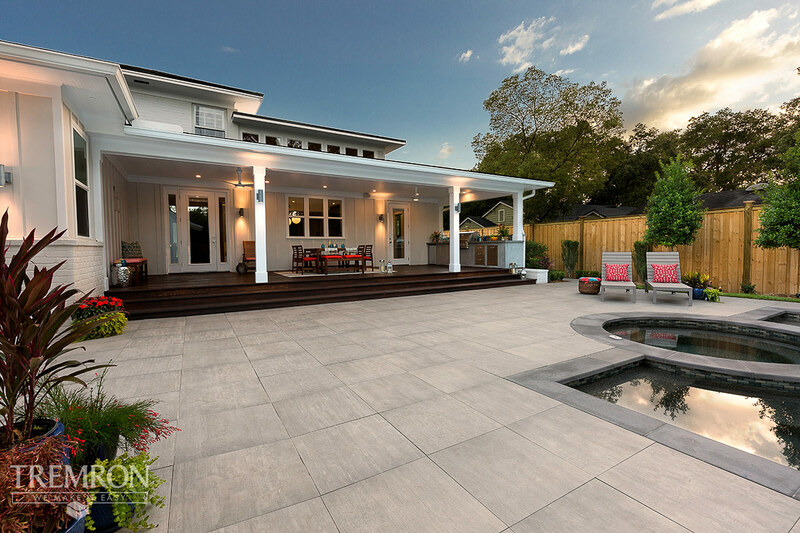 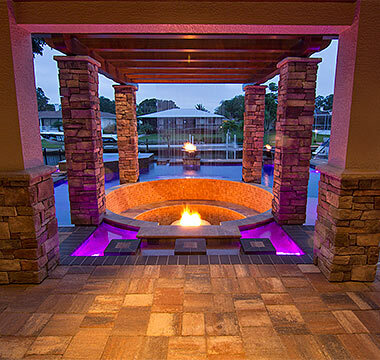 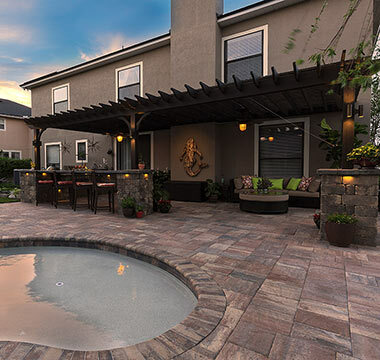 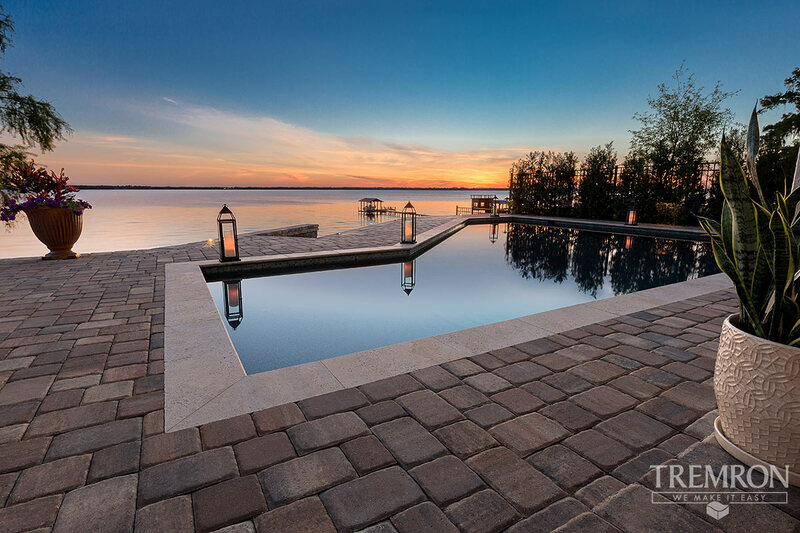 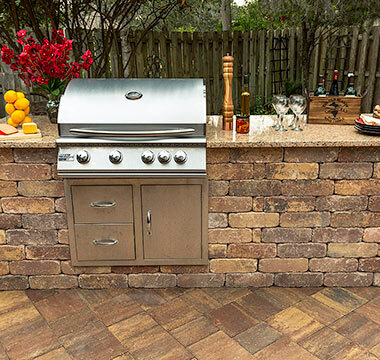 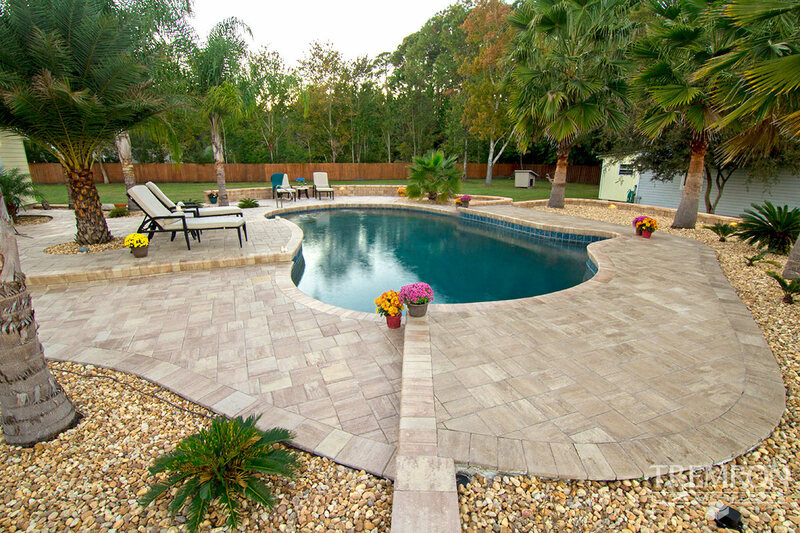 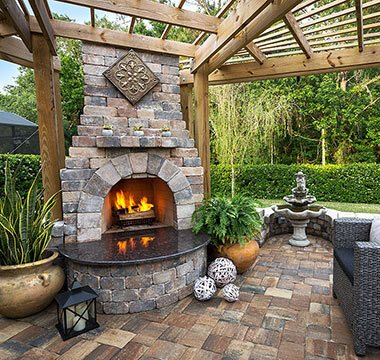 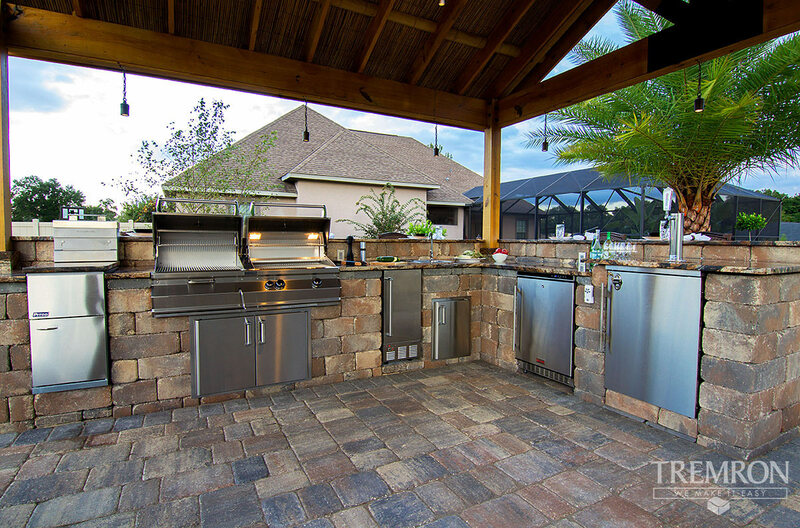 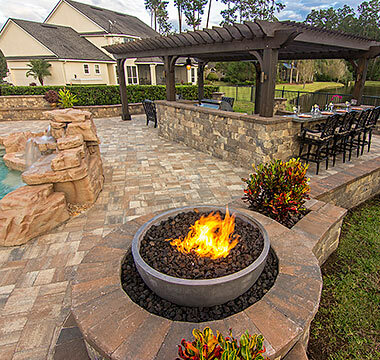 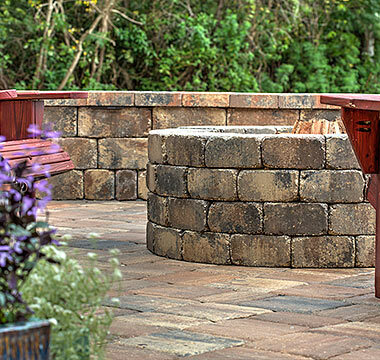 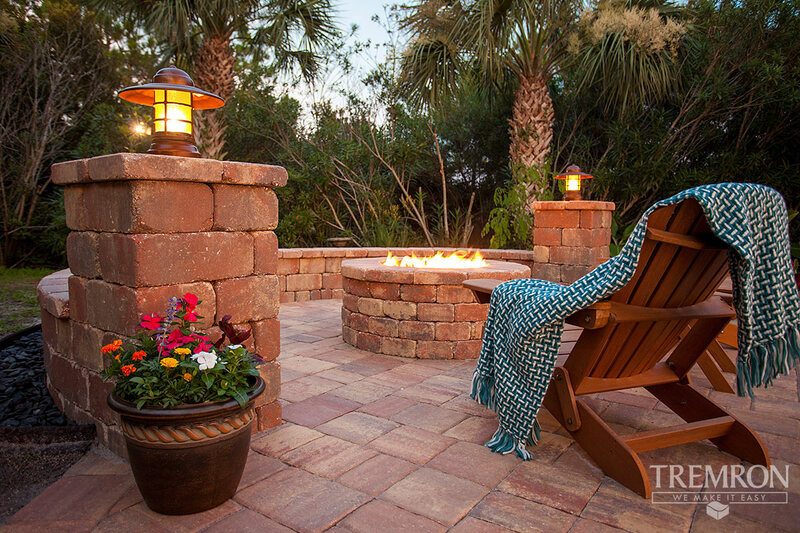 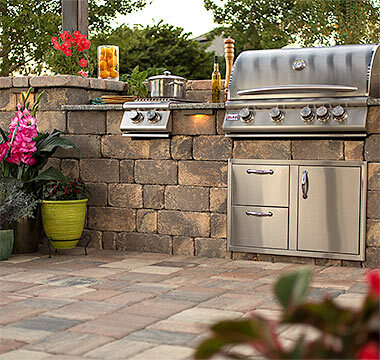 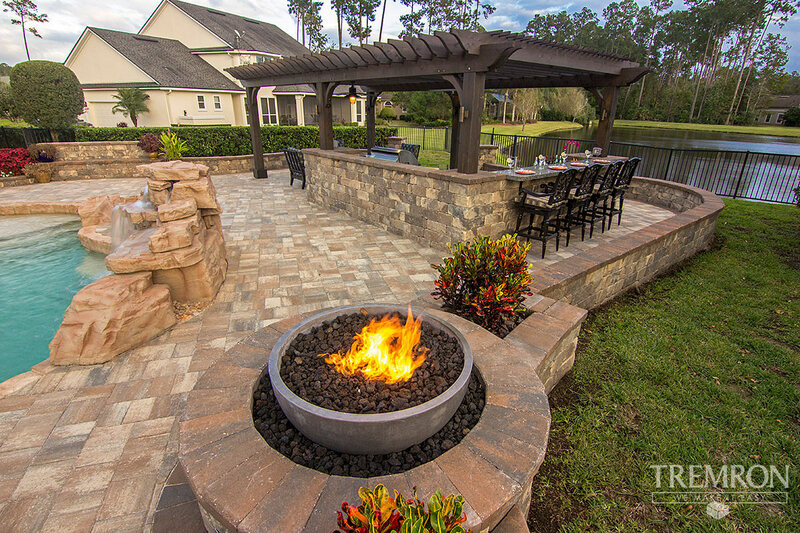 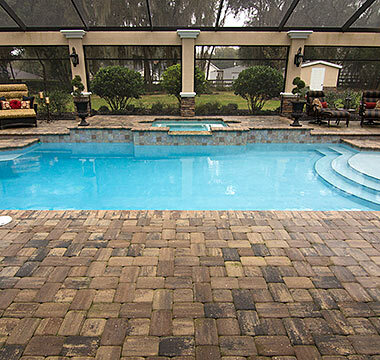 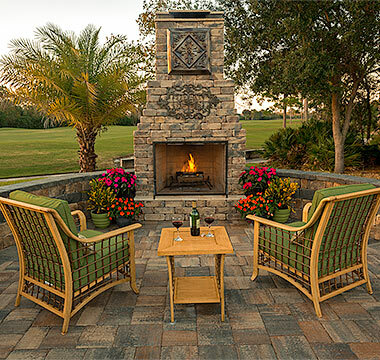 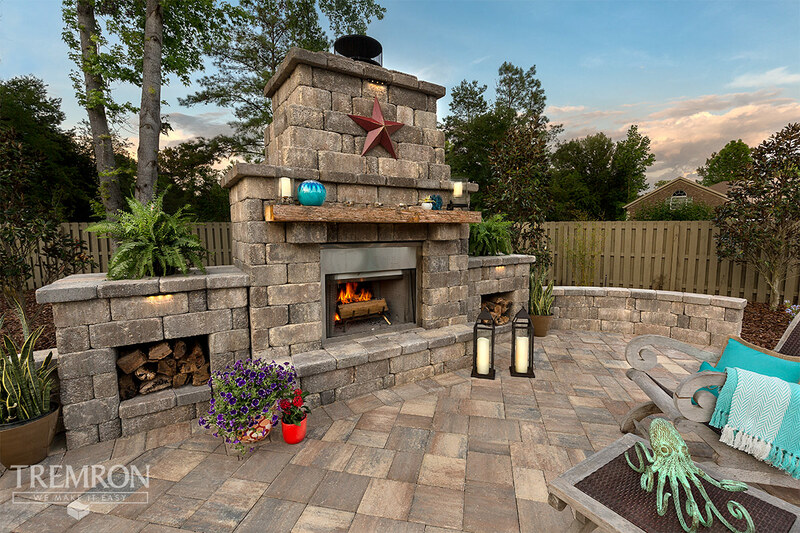 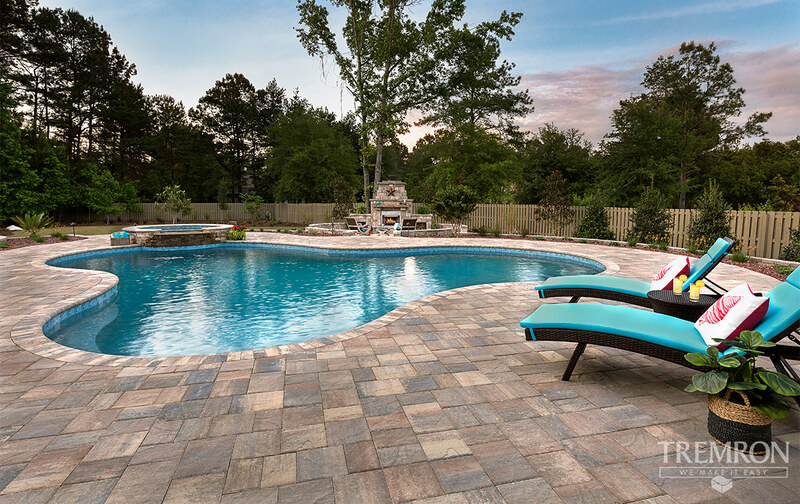 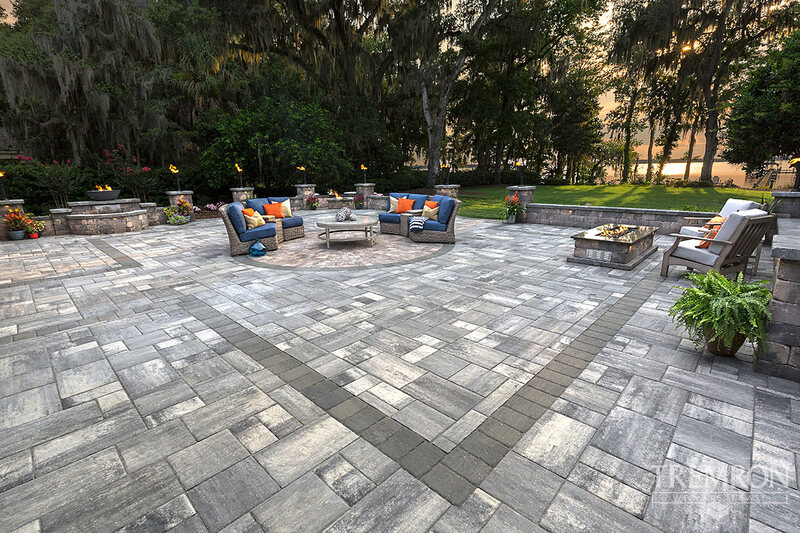 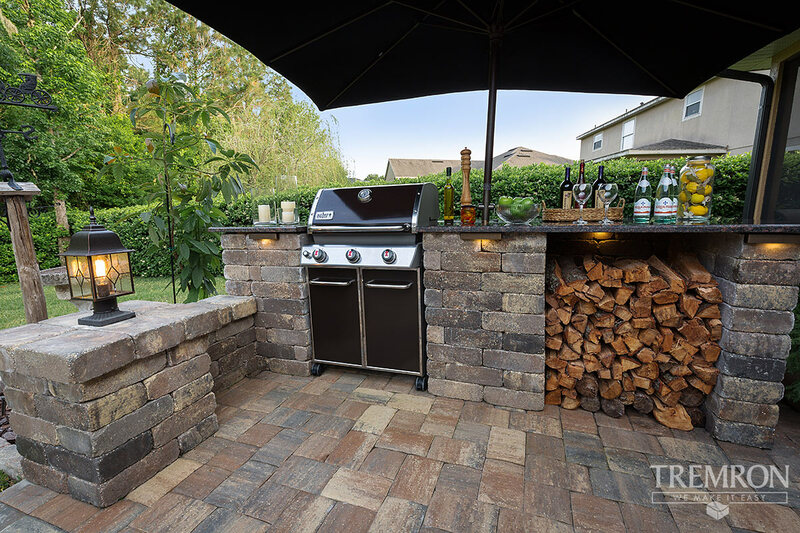 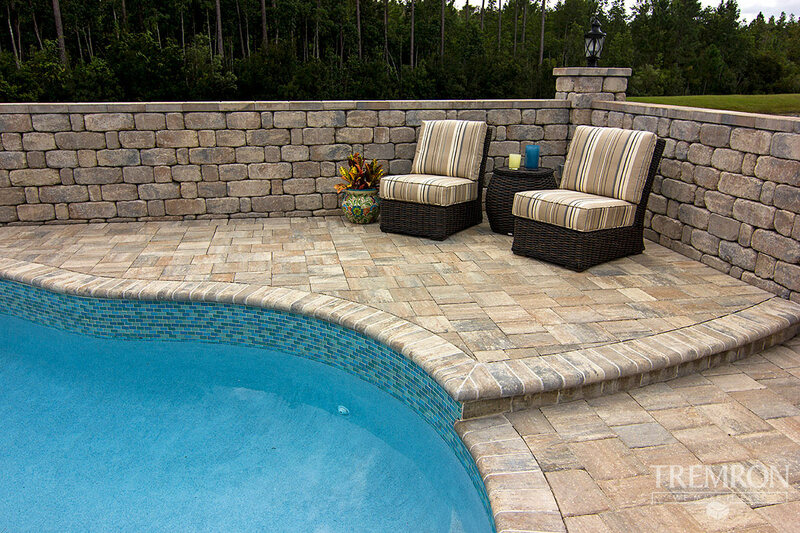 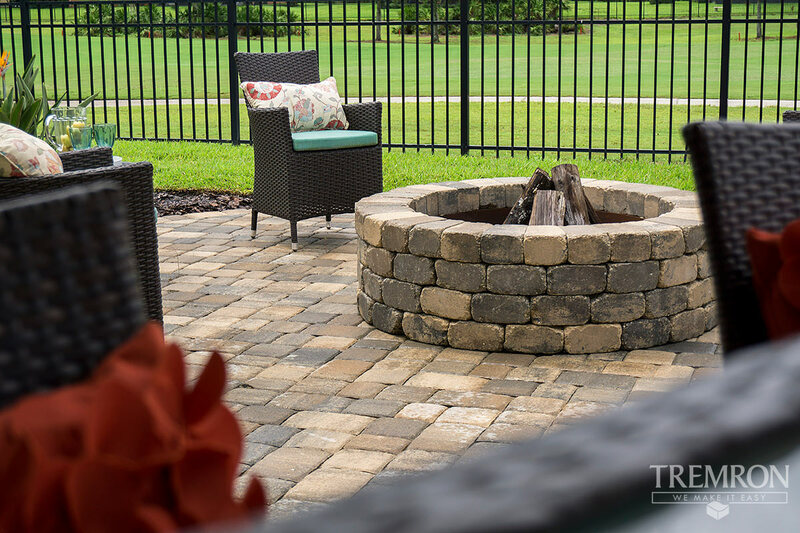 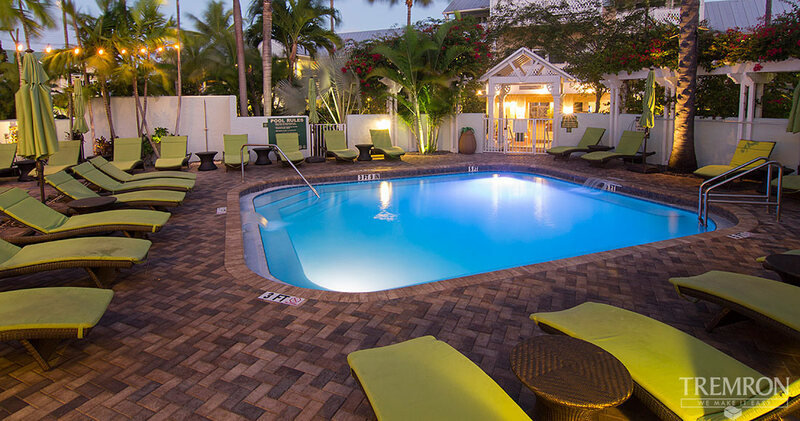 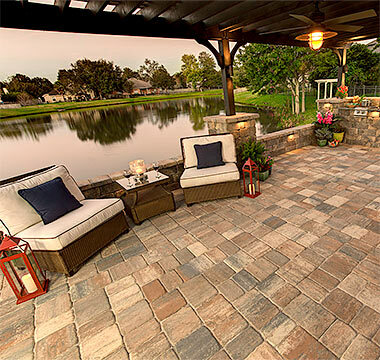 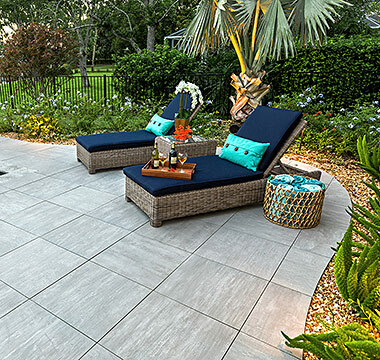 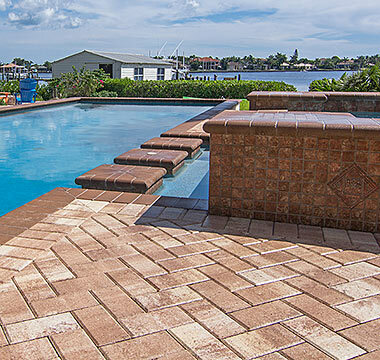 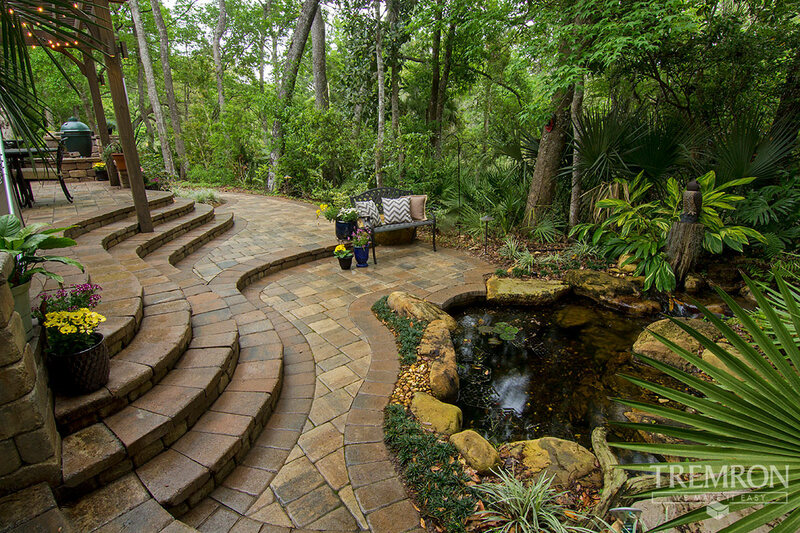 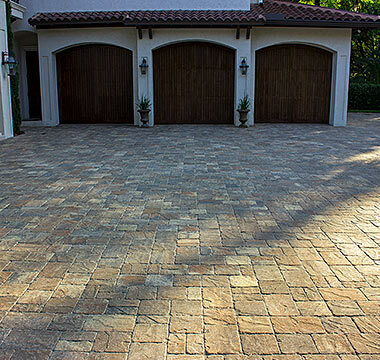 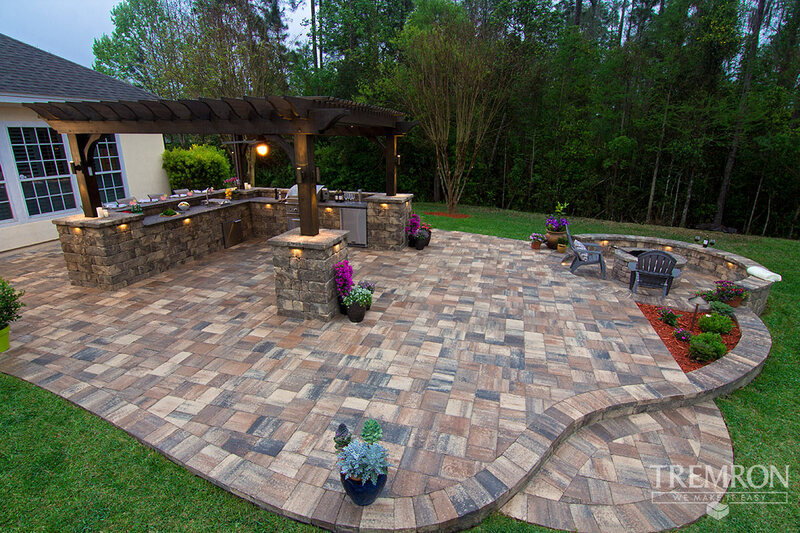 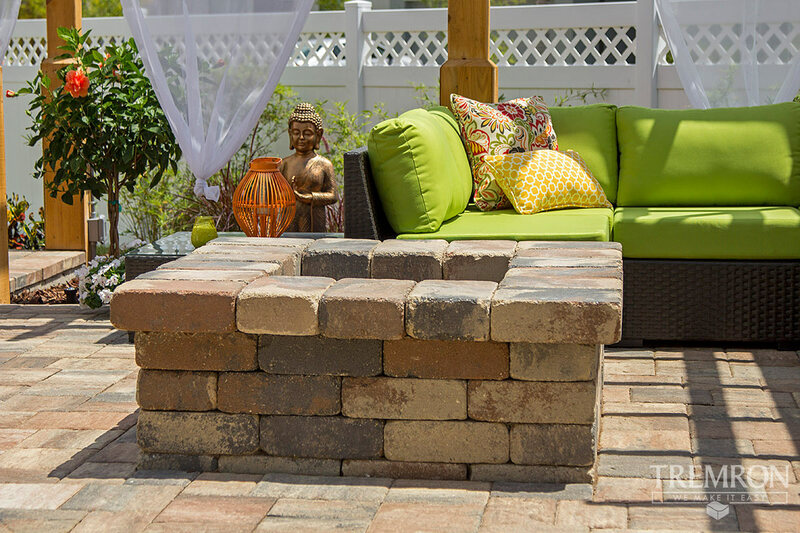 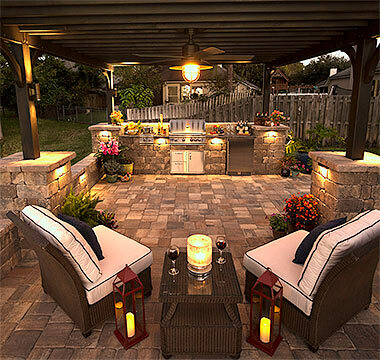 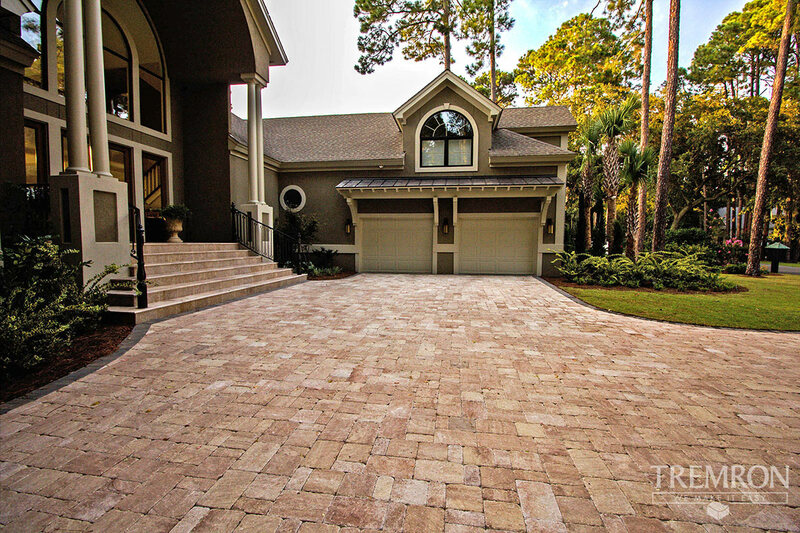 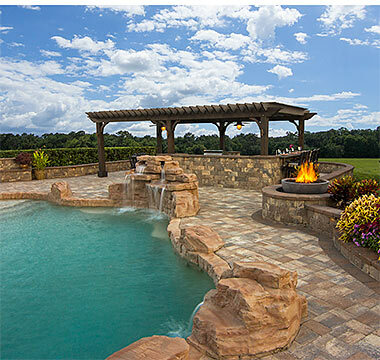 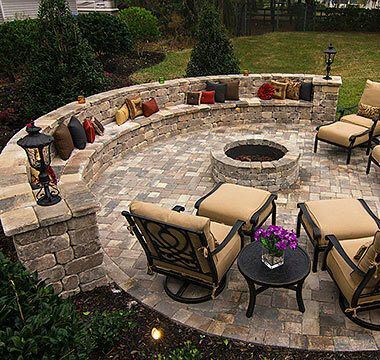 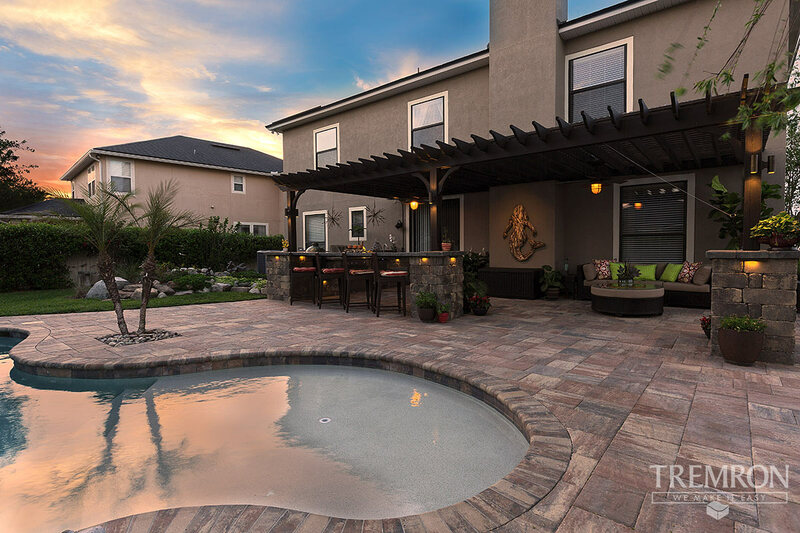 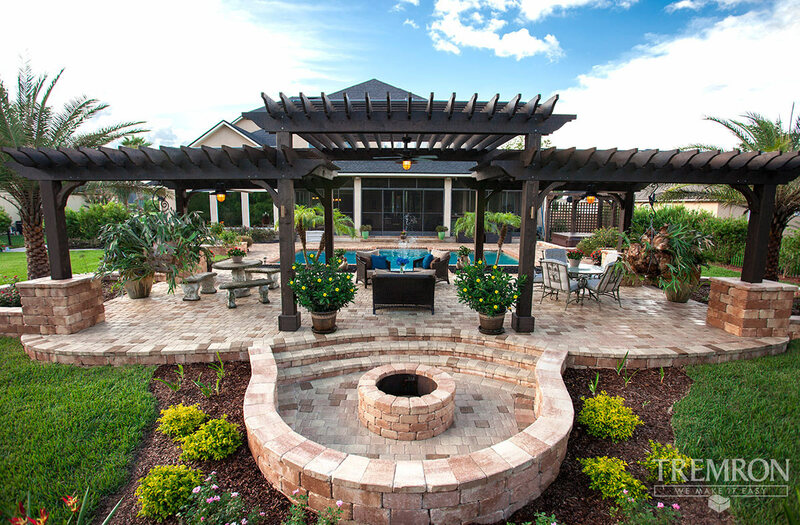 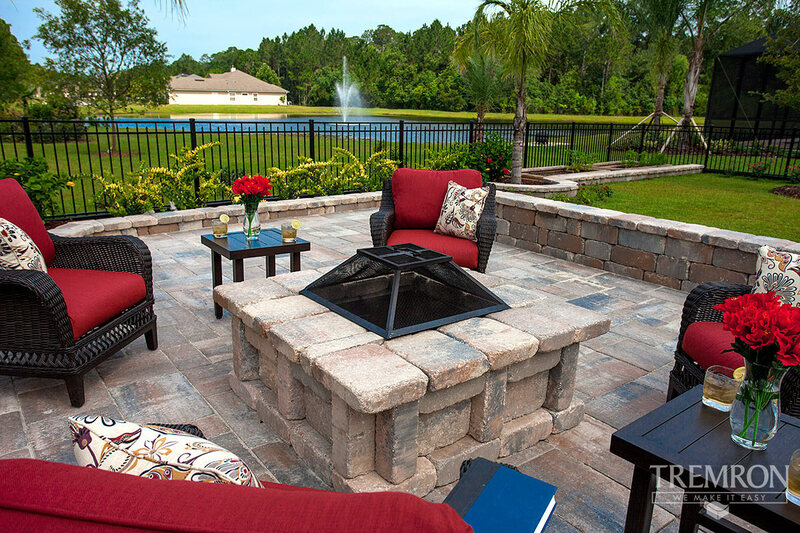 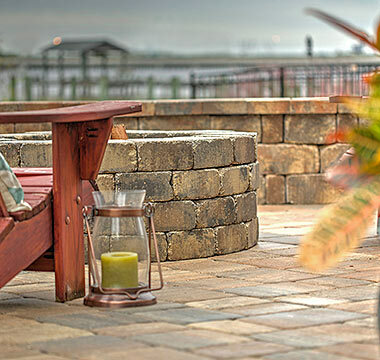 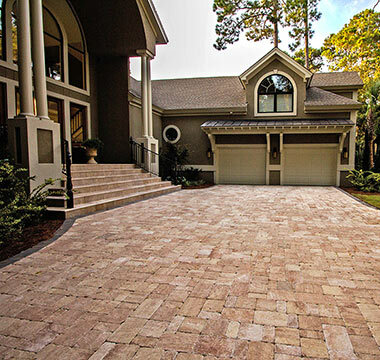 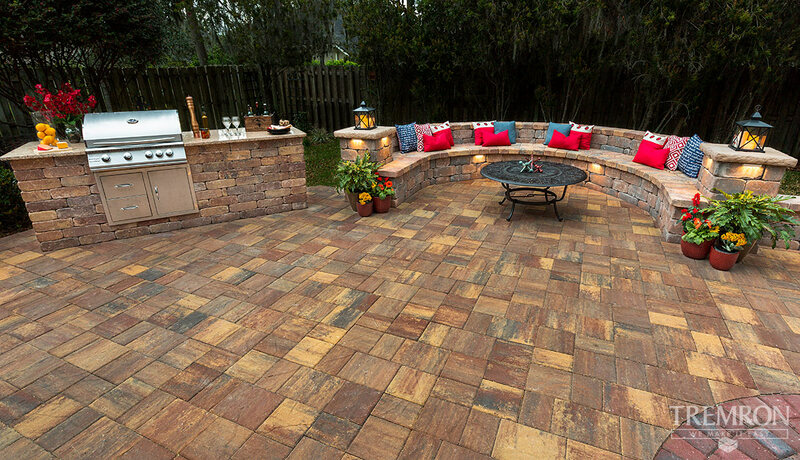 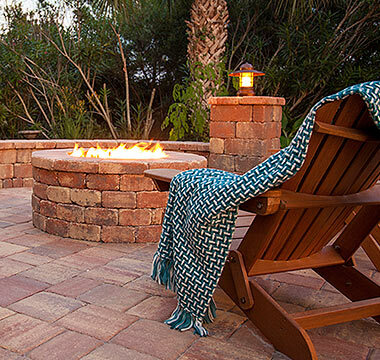 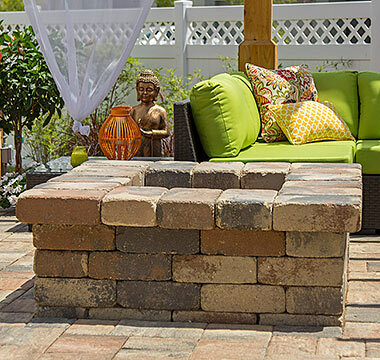 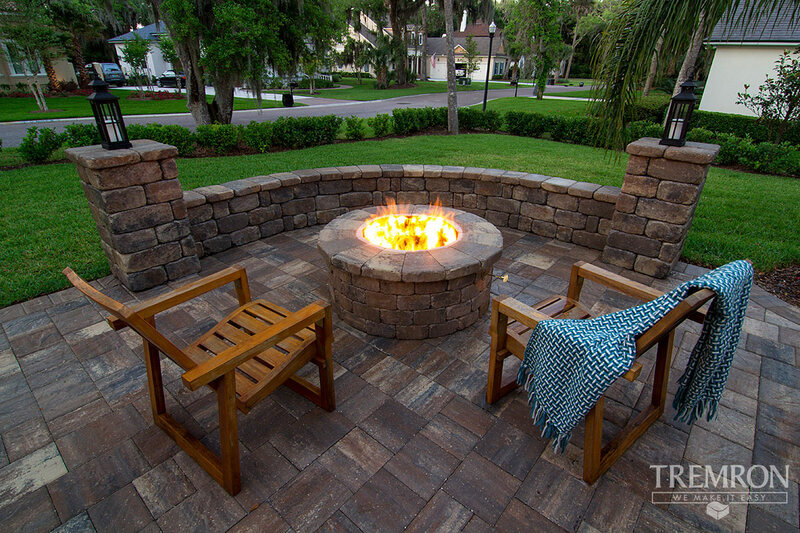 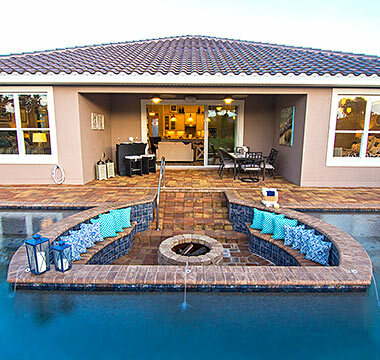 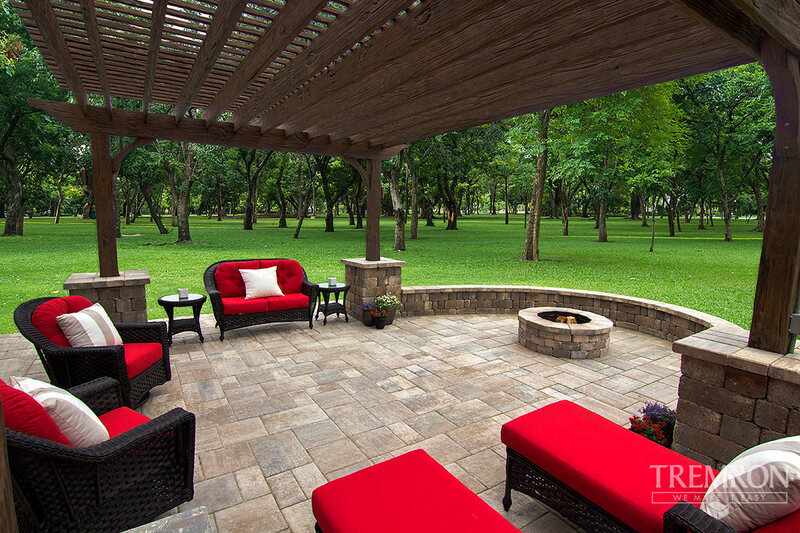 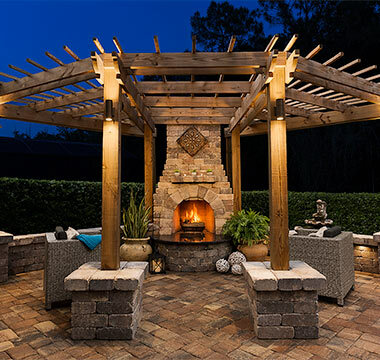 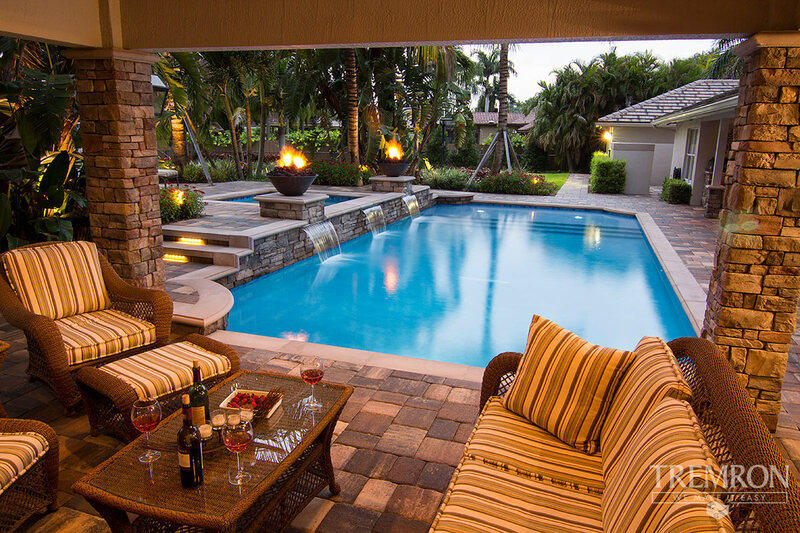 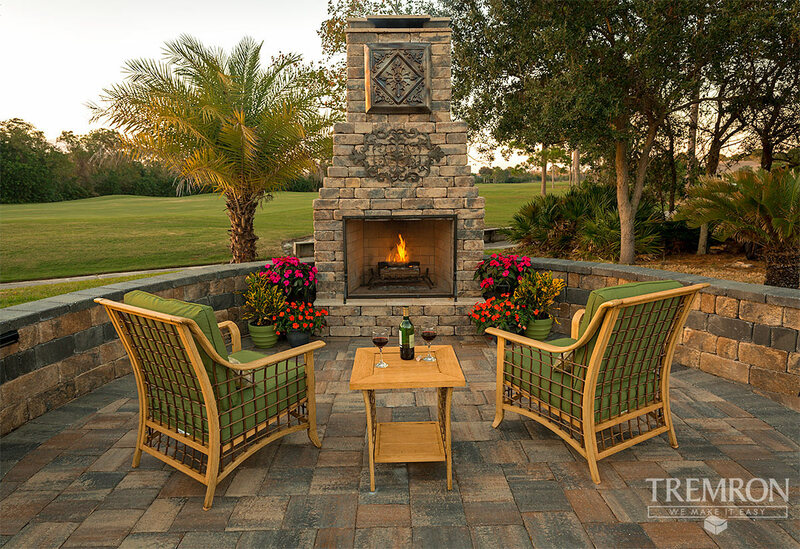 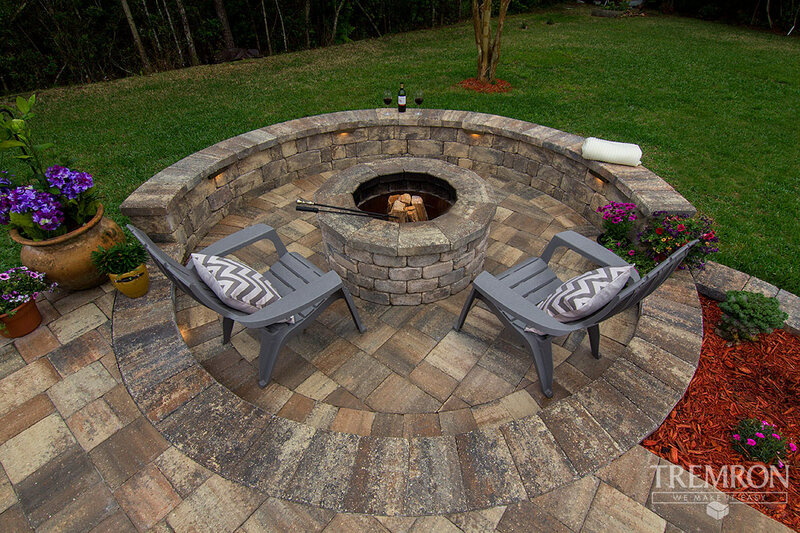 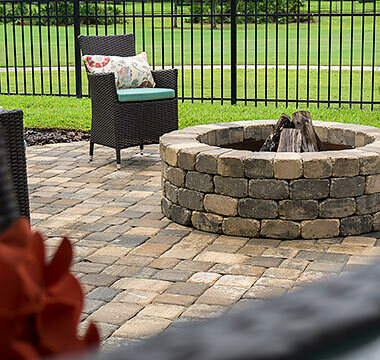 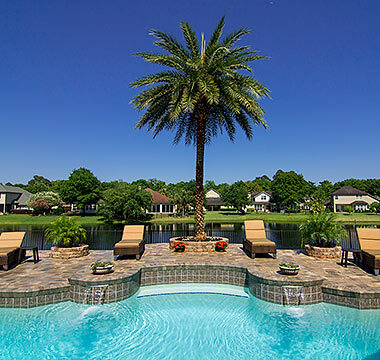 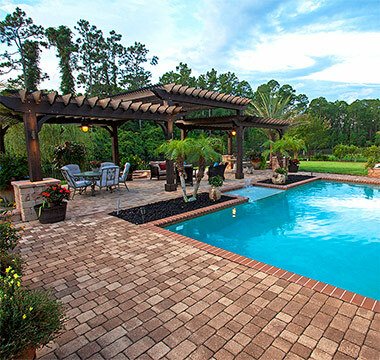 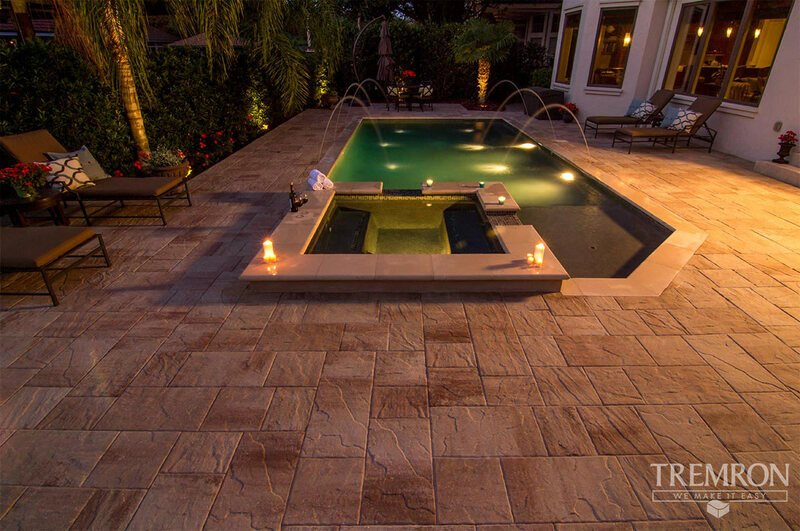 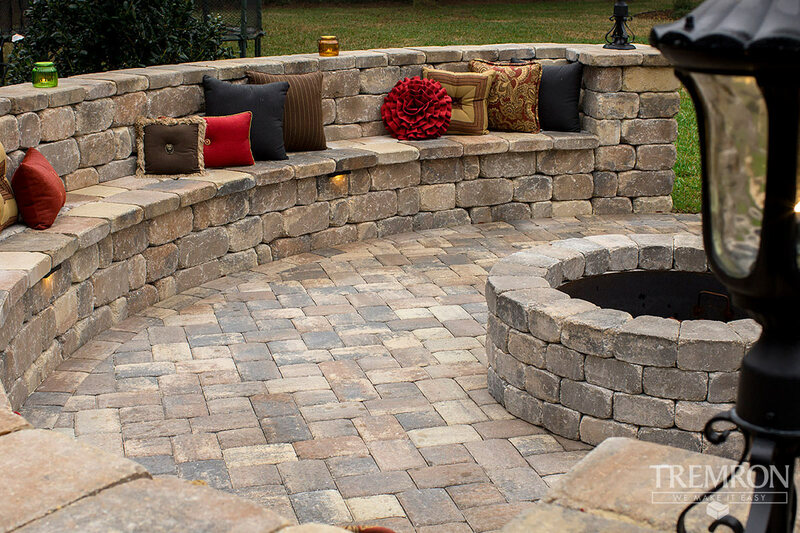 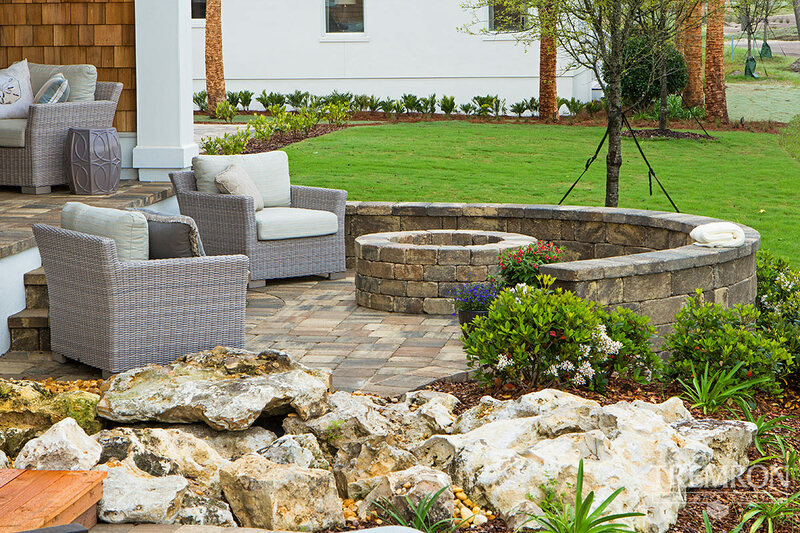 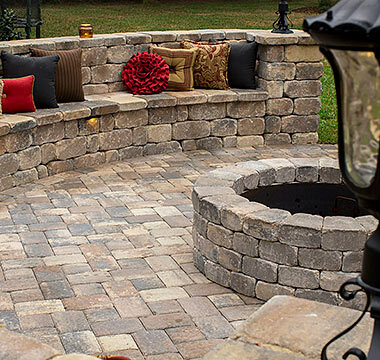 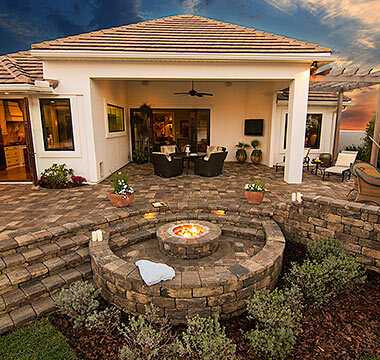 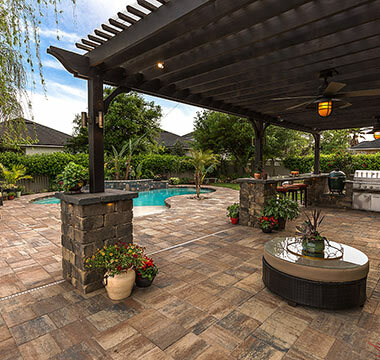 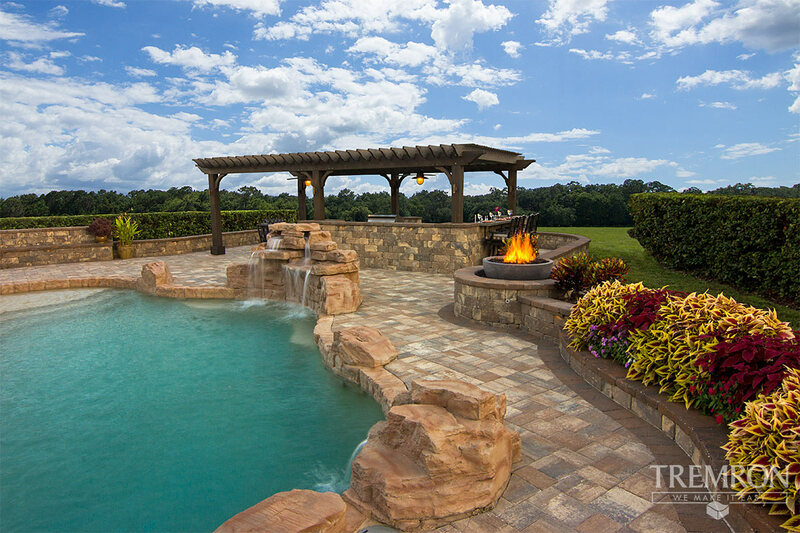 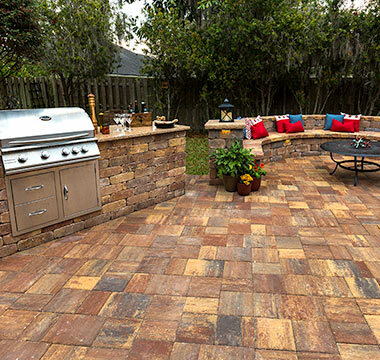 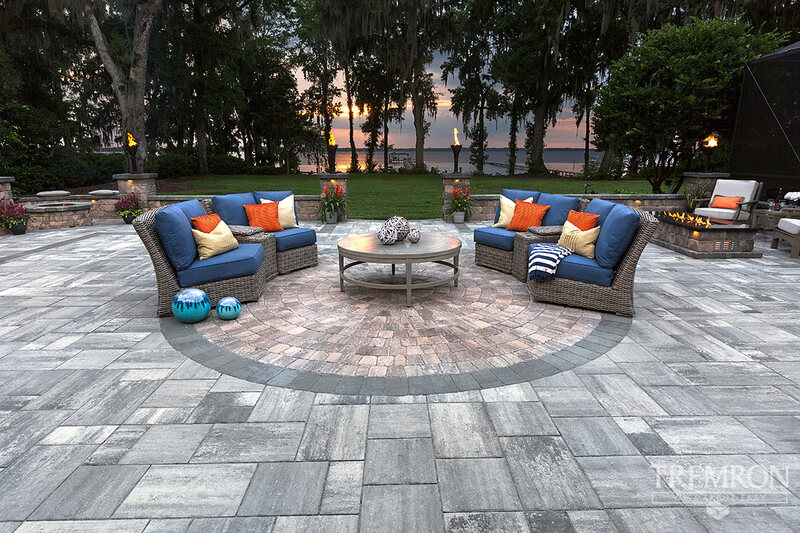 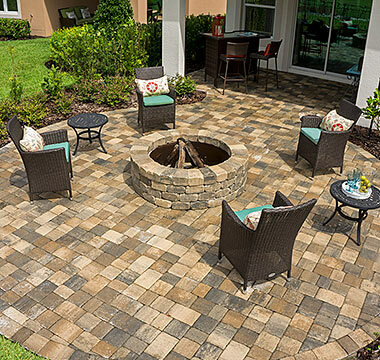 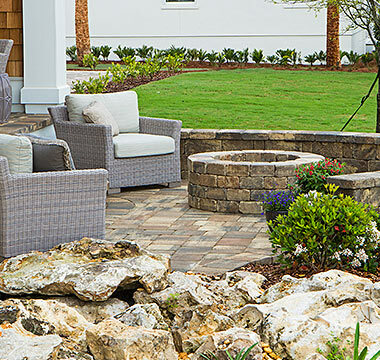 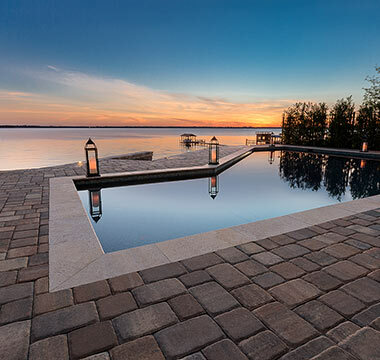 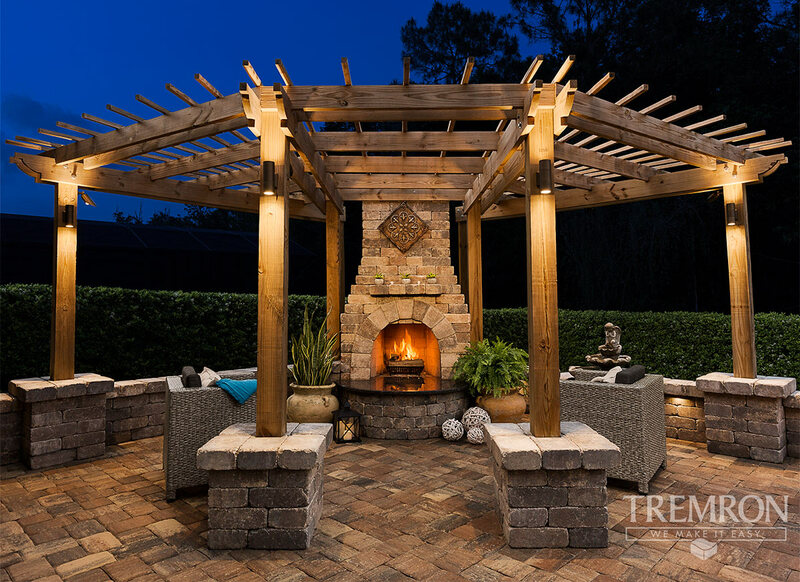 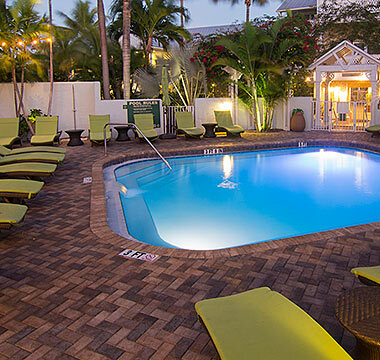 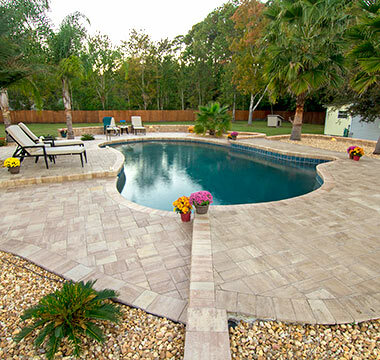 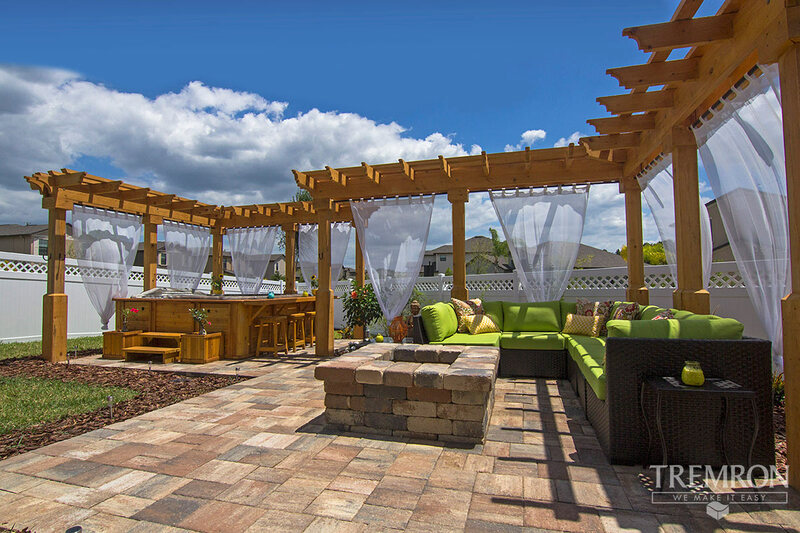 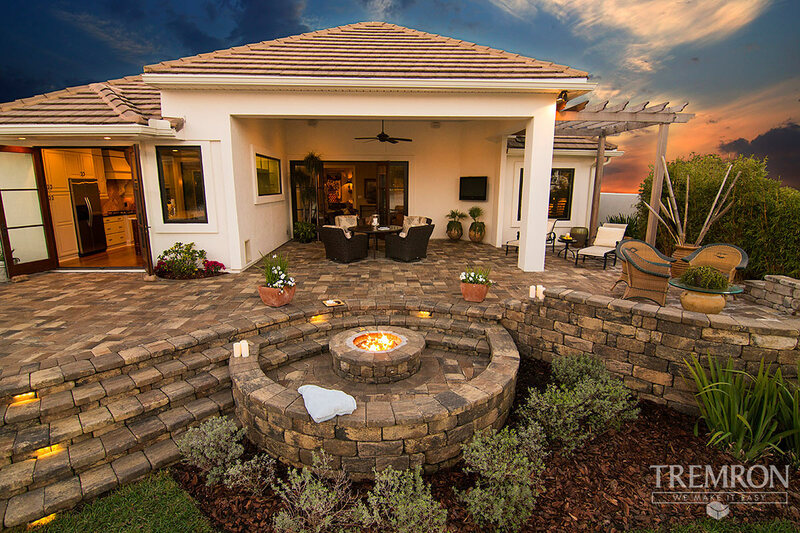 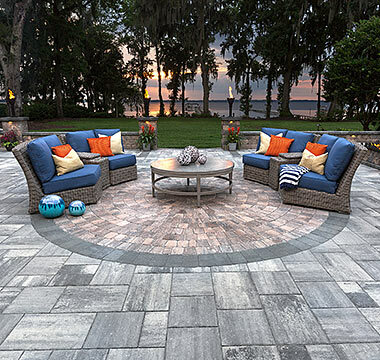 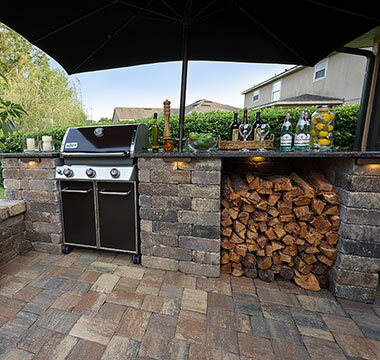 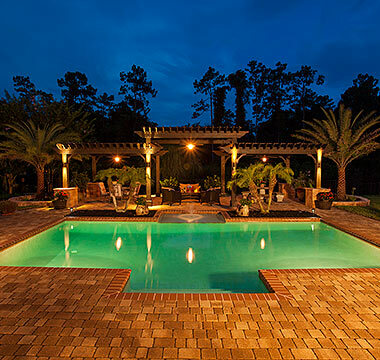 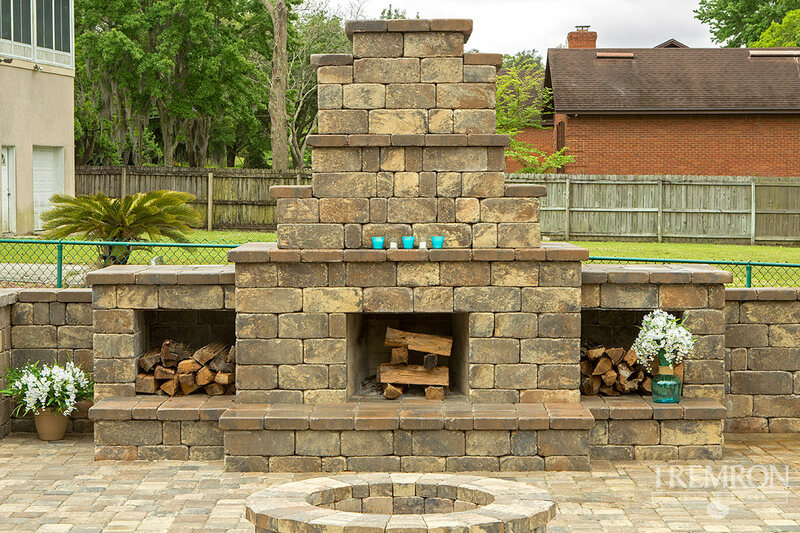 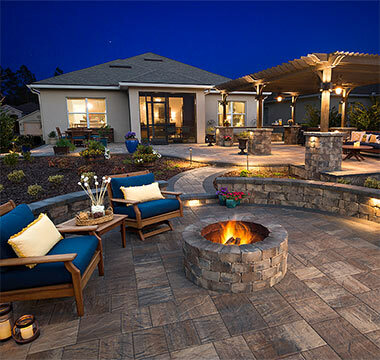 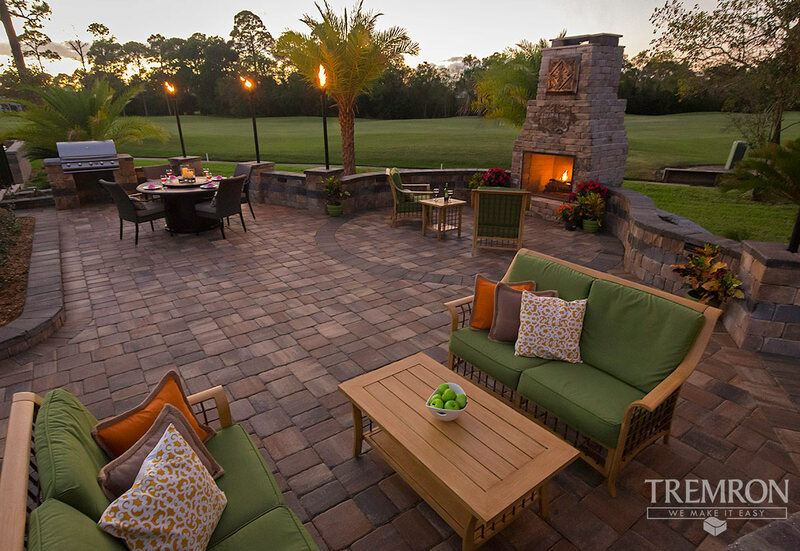 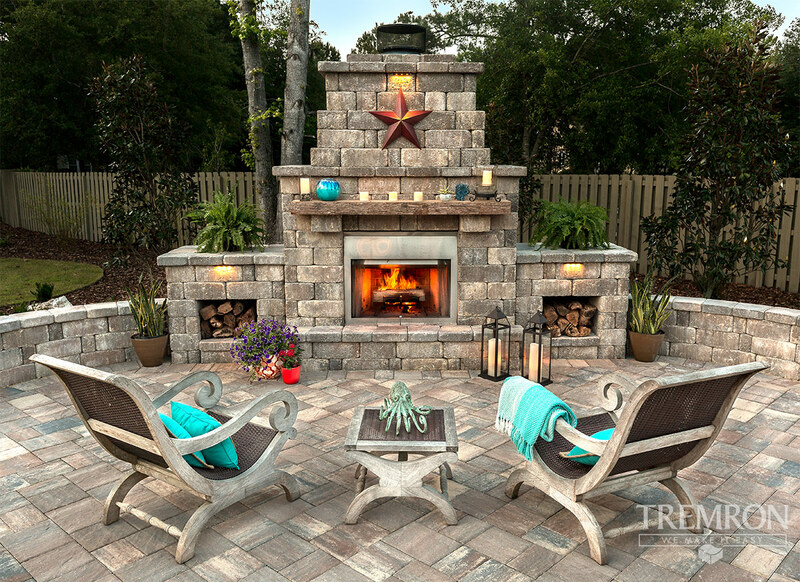 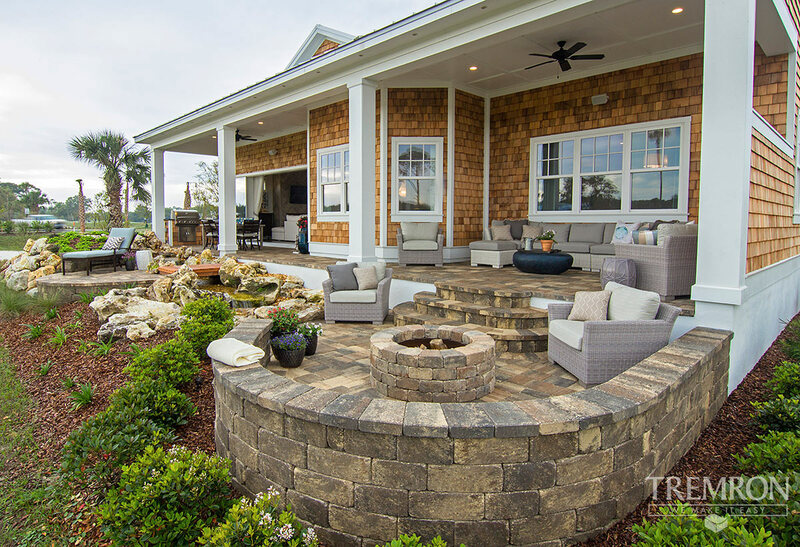 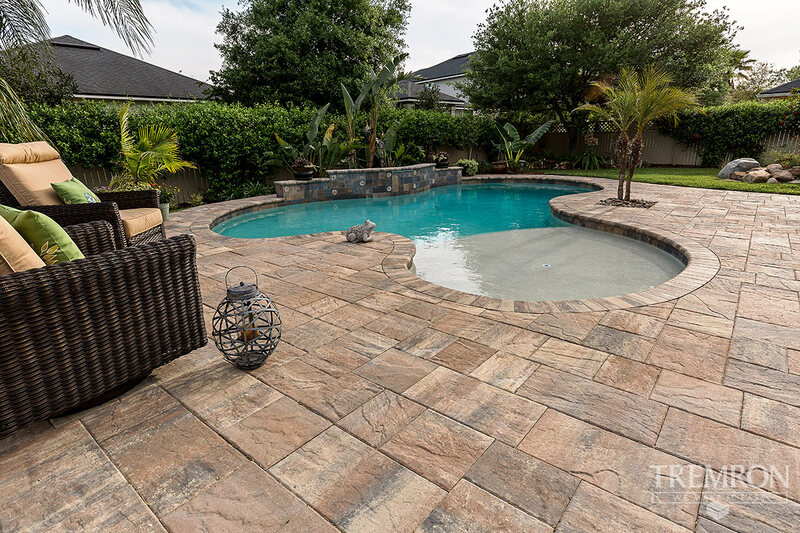 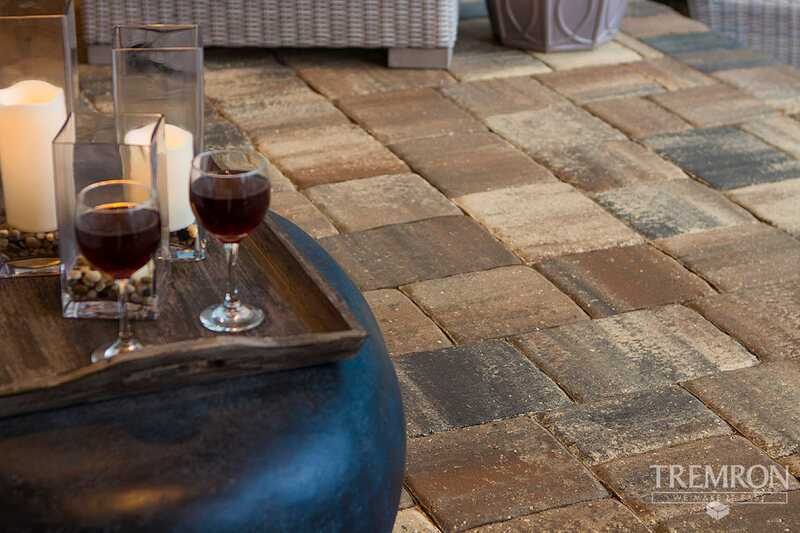 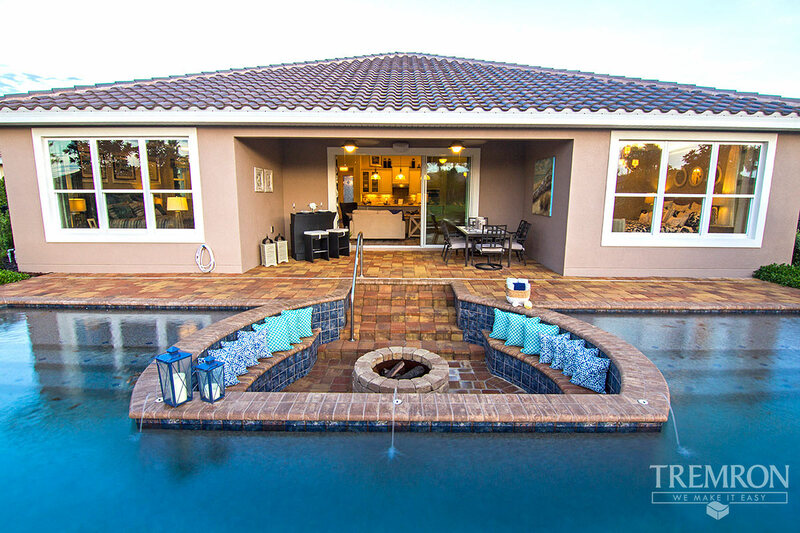 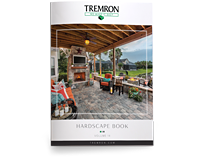 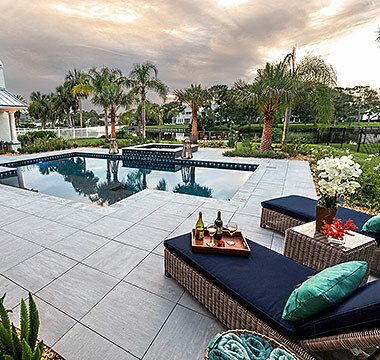 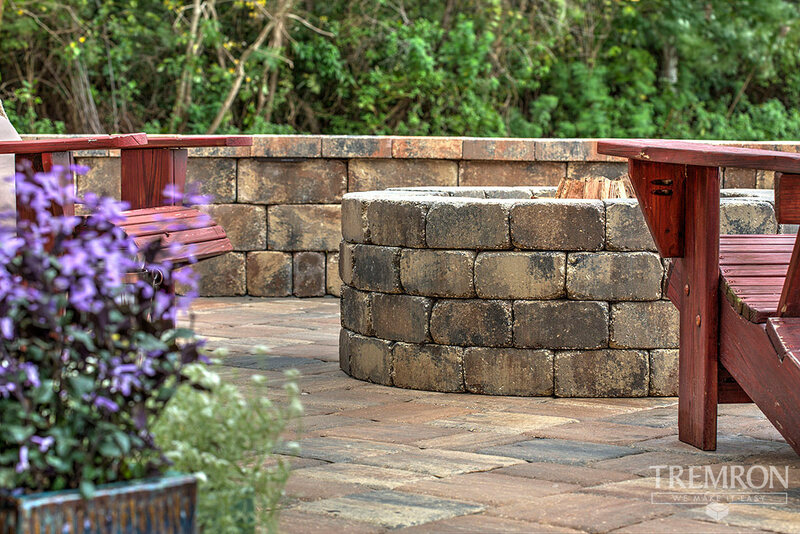 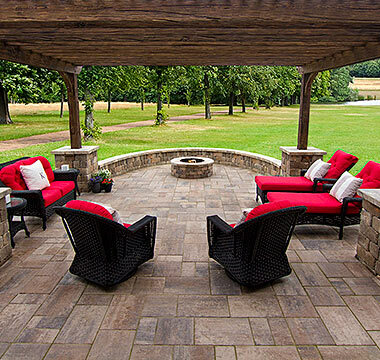 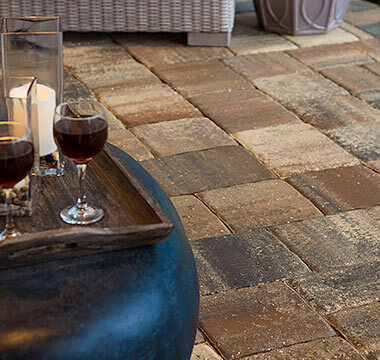 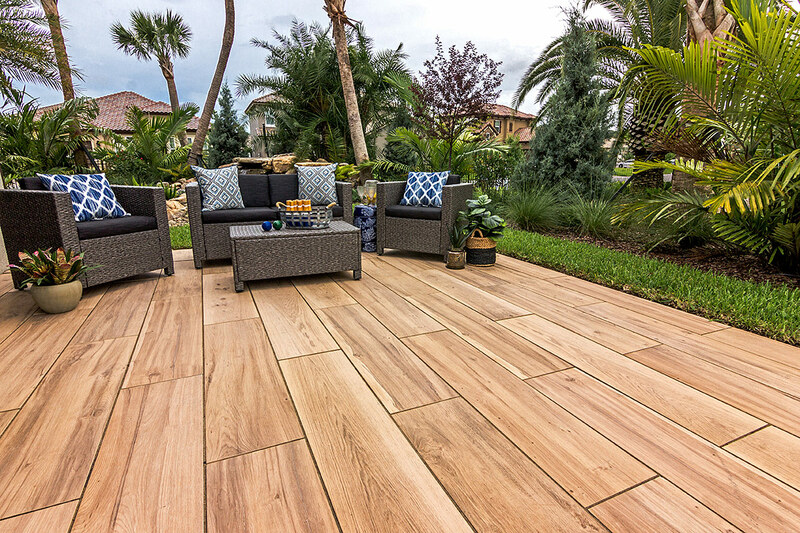 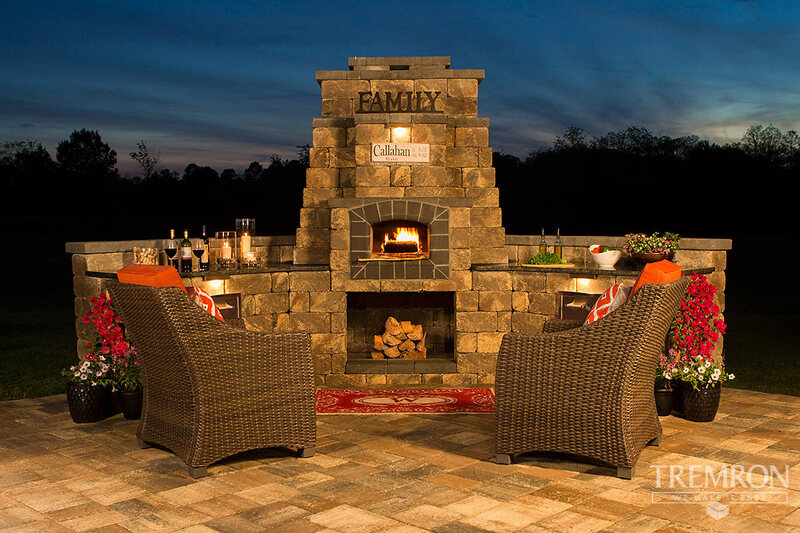 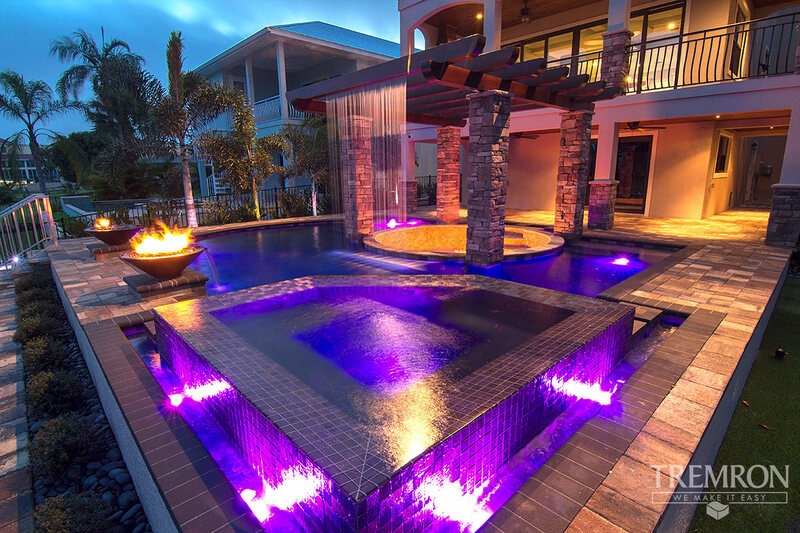 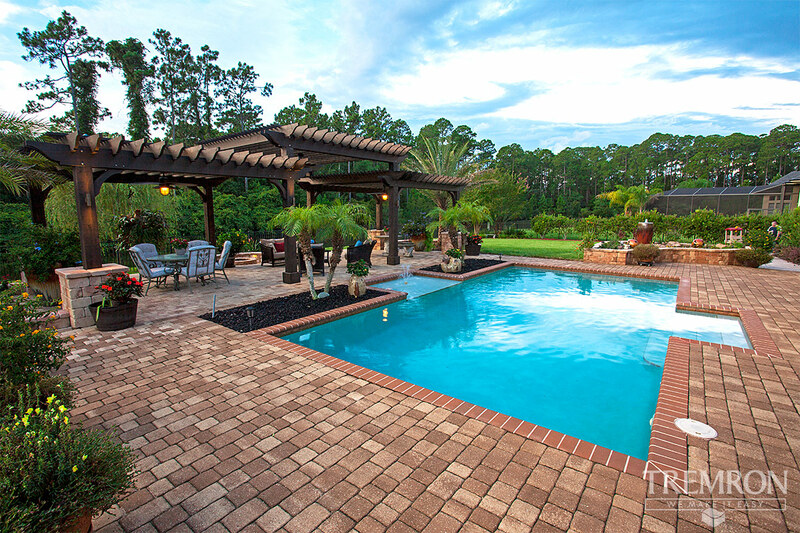 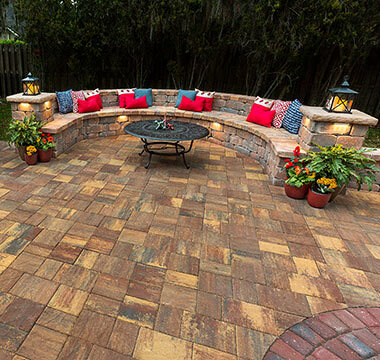 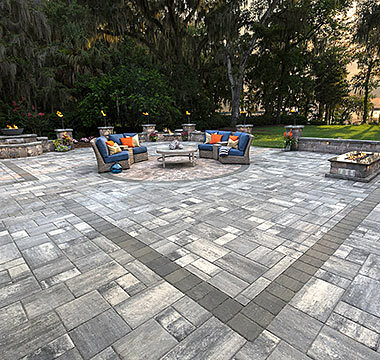 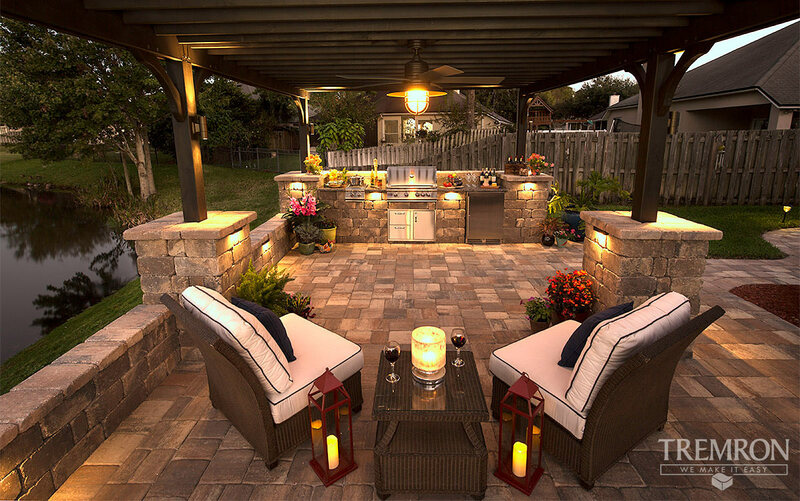 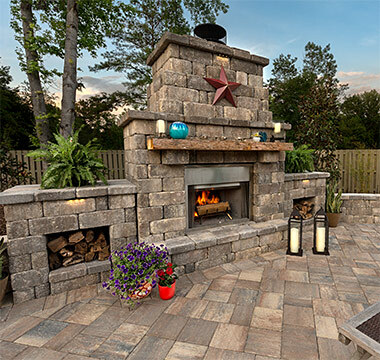 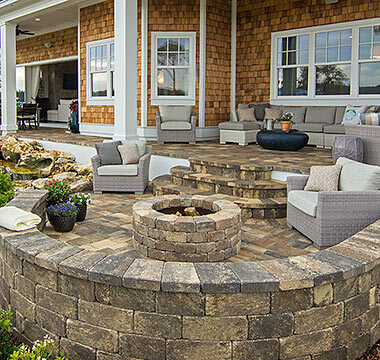 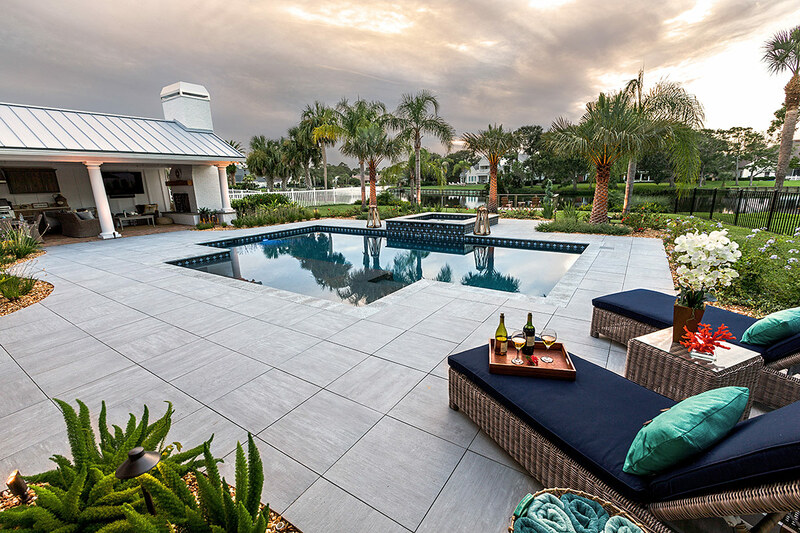 Envision an outdoor space that beckons loved ones to gather; with the complete line of Tremron hardscape products bringing those dreams to life has never been easier. 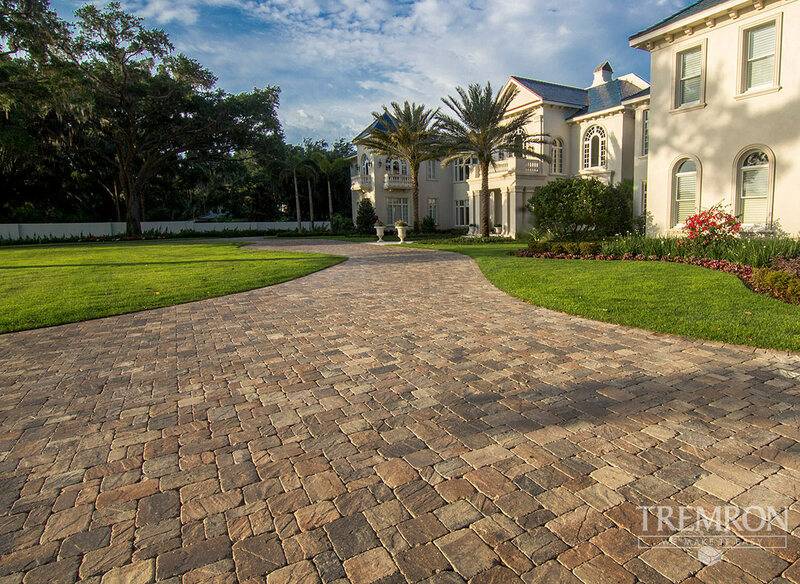 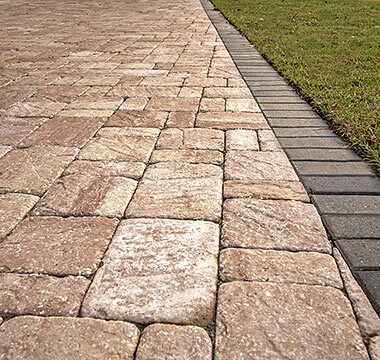 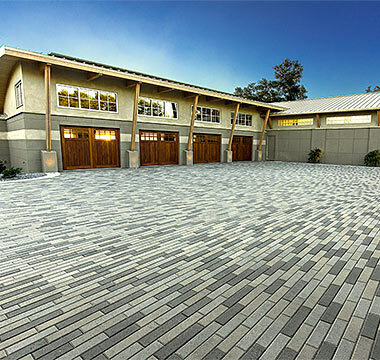 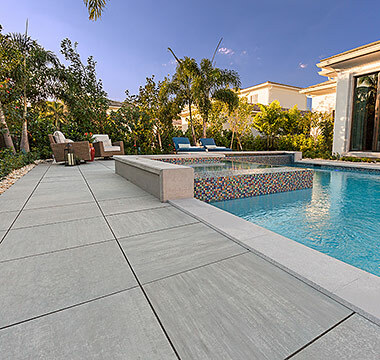 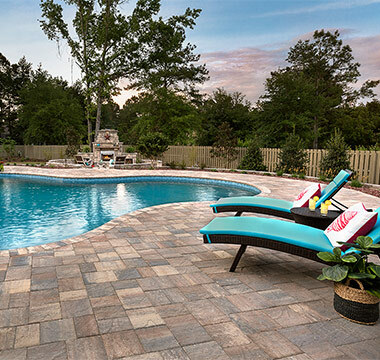 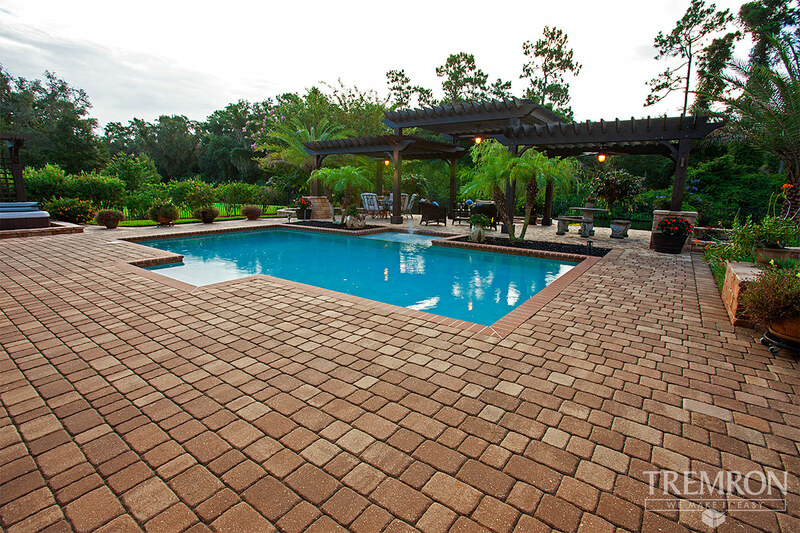 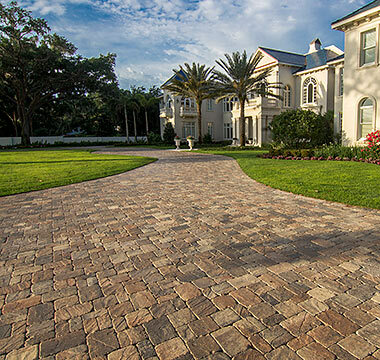 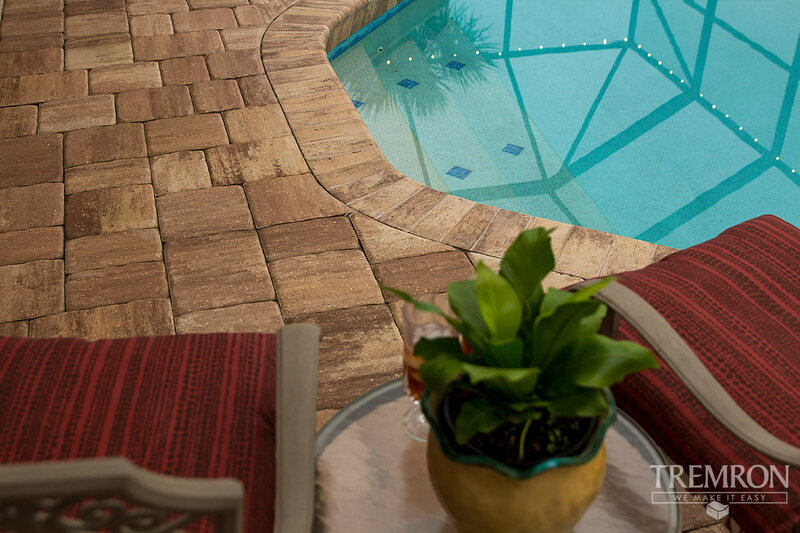 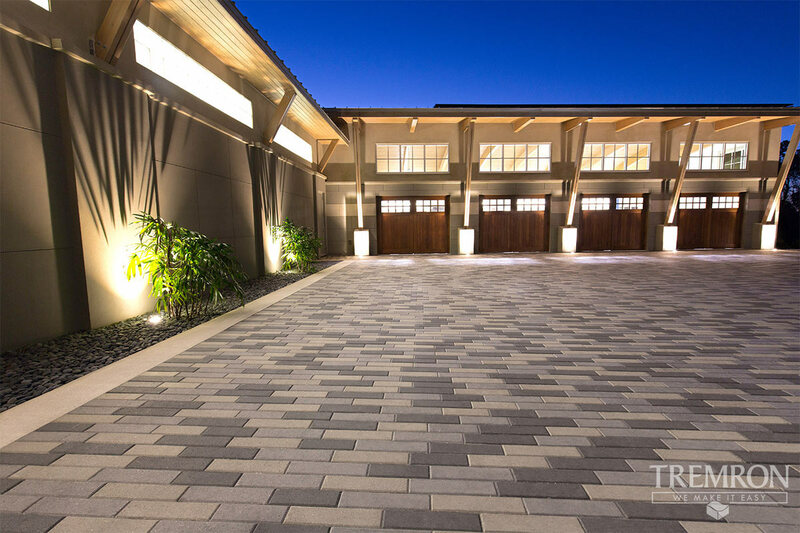 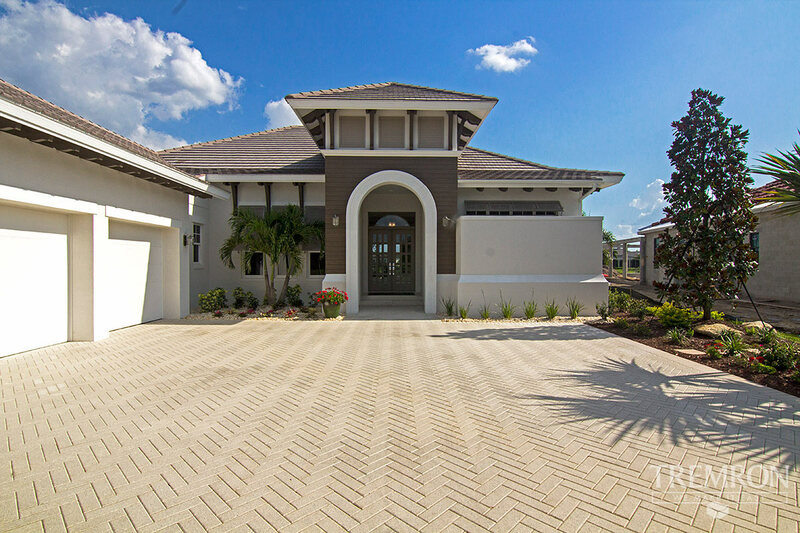 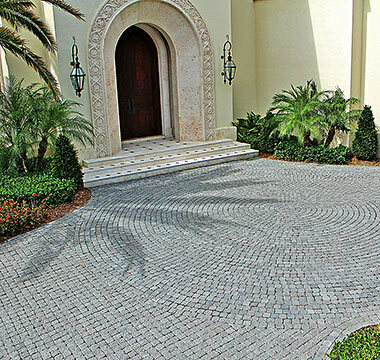 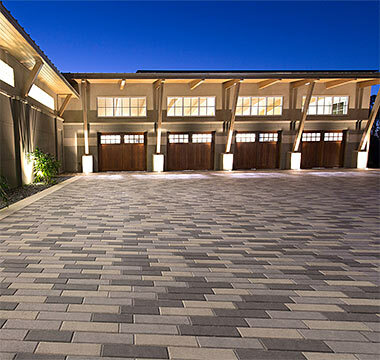 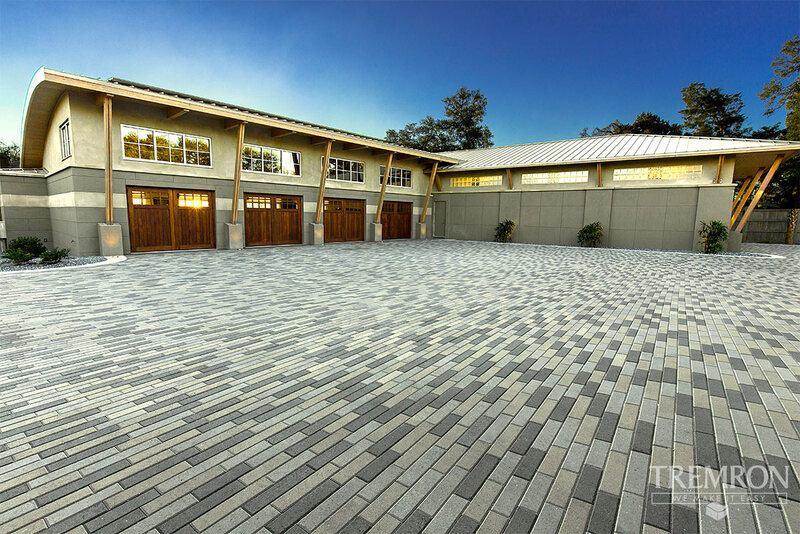 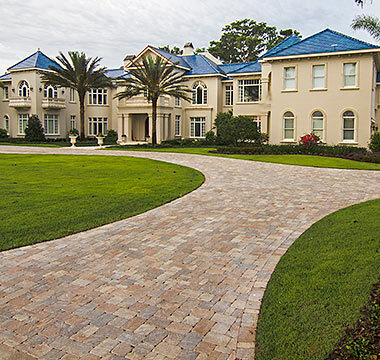 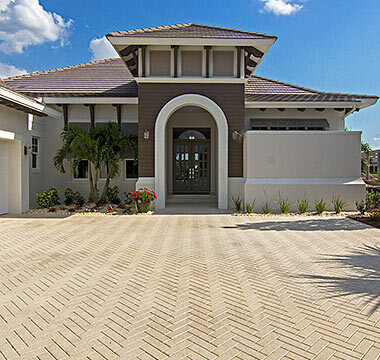 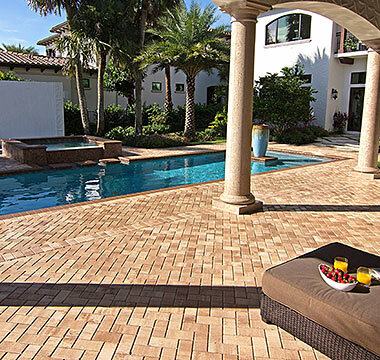 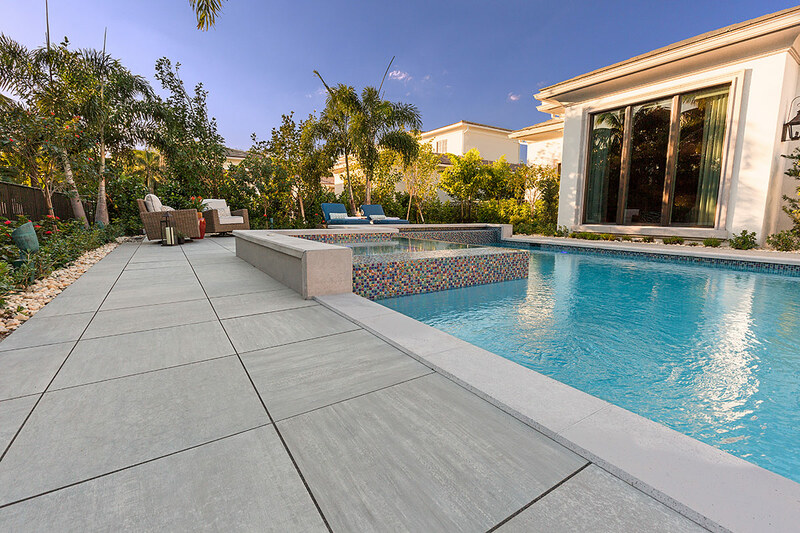 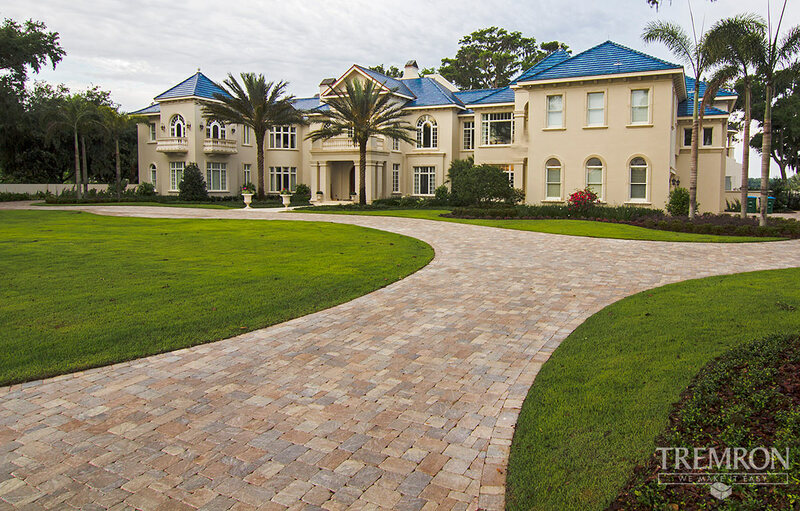 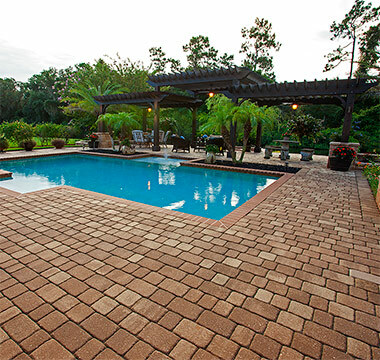 Possibilities abound, limited only by your imagination, Tremron's innovative pavers and wall blocks create an elegantly unified landscape that will become the envy of the neighborhood. 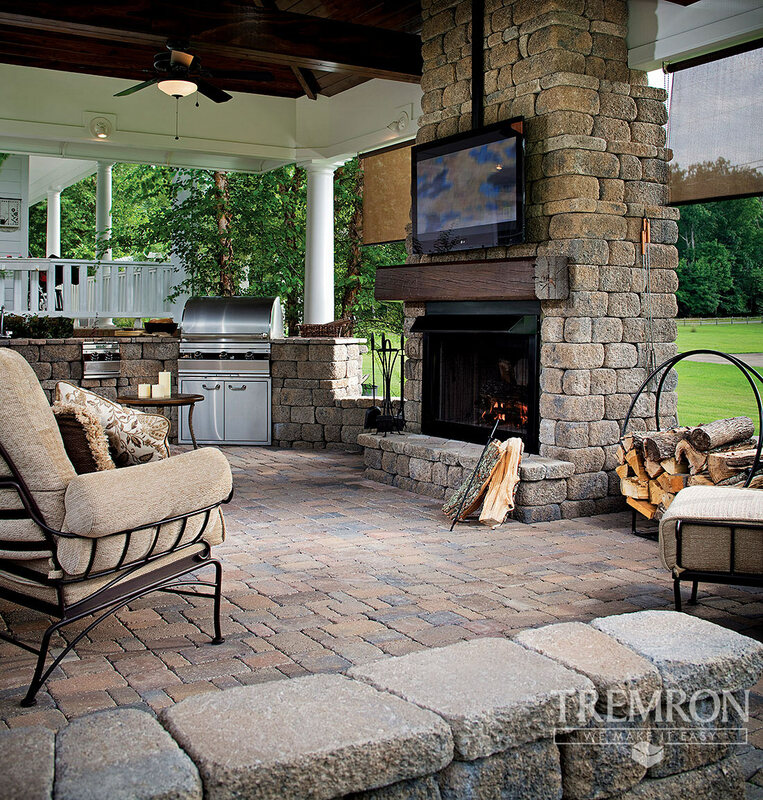 Inspired by nature, but created by Tremron, our hardscape products offer an everlasting elegance that creates a sense of luxury and ease.